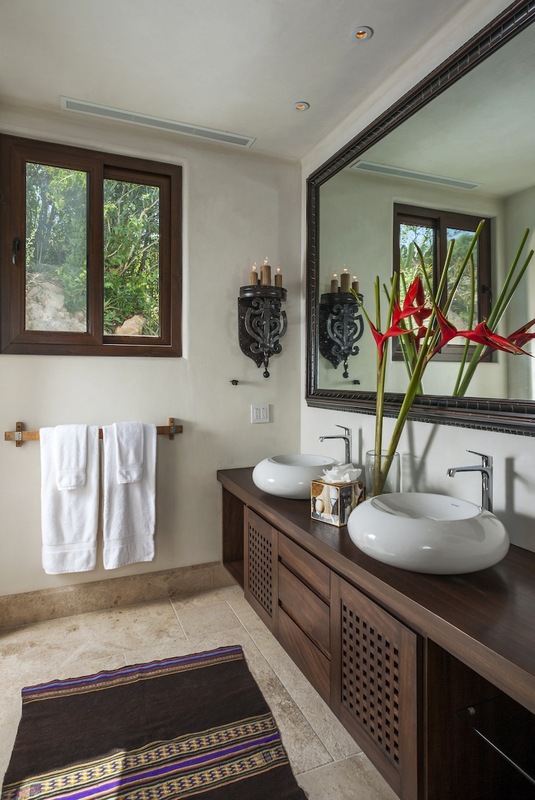 With over thirty years of experience, interior designer Katherine Nidermaier began her design career in New York City after completing her studies at Parsons School of Design. 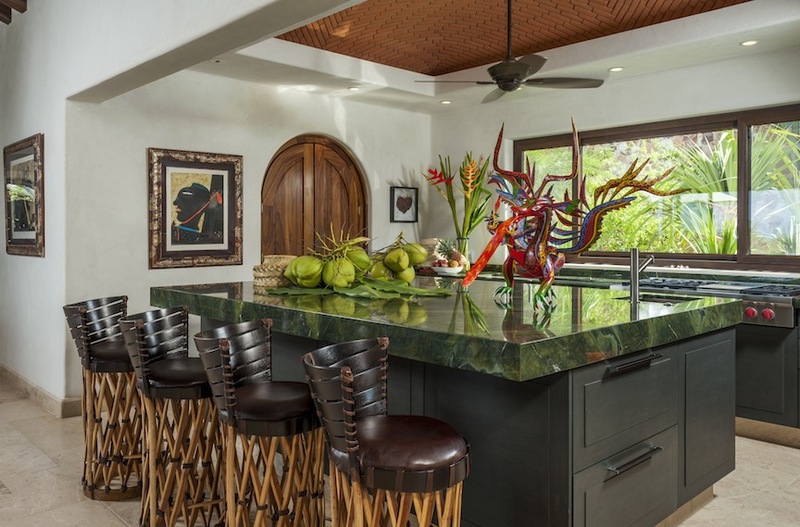 In the mid 80’s she relocated to San Francisco and worked in the forefront of high-end residential and hospitality design. 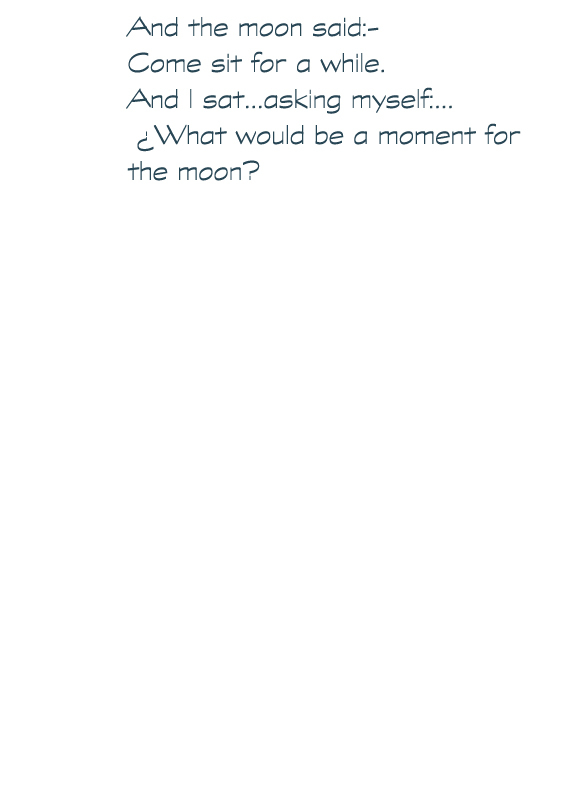 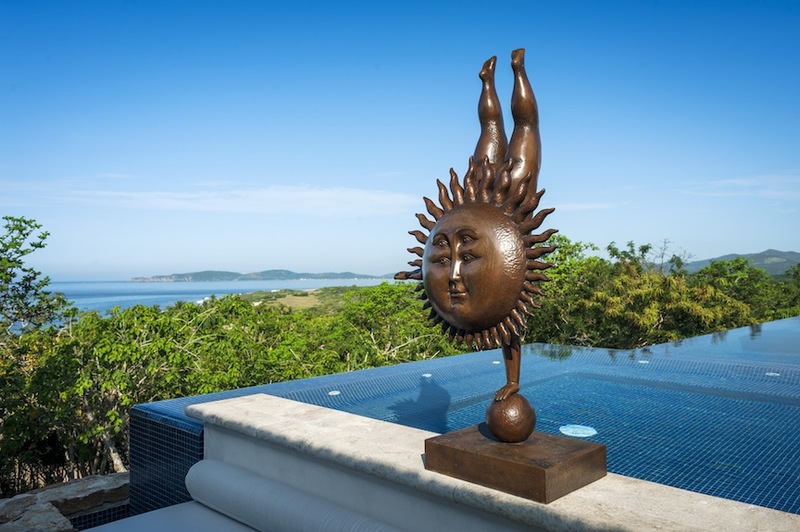 Katherine has worked in Mexico since 1990 with design studios in the US and in Mexico both in Guadalajara and Punta de Mita. 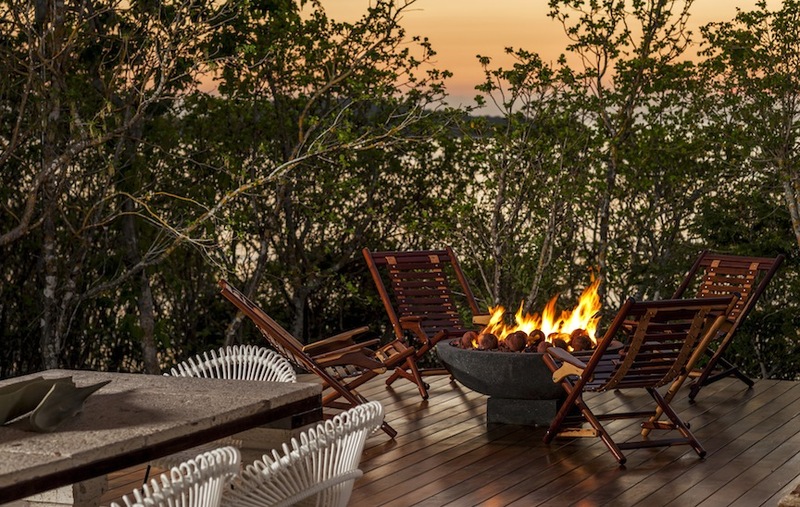 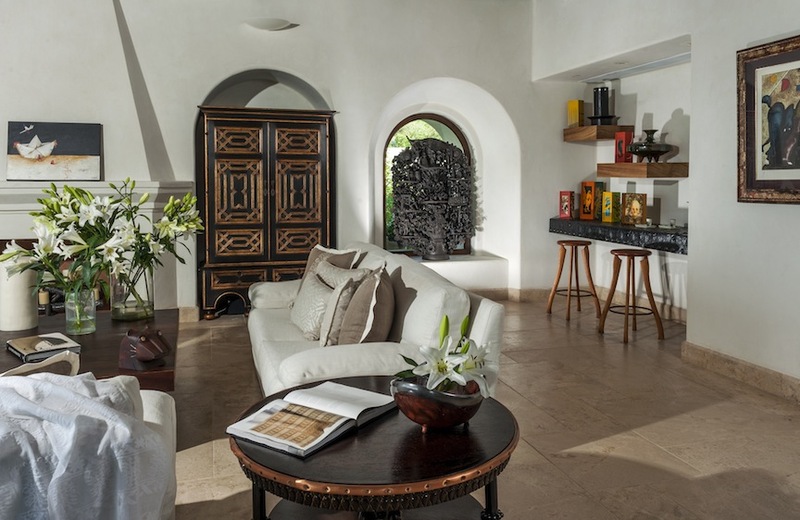 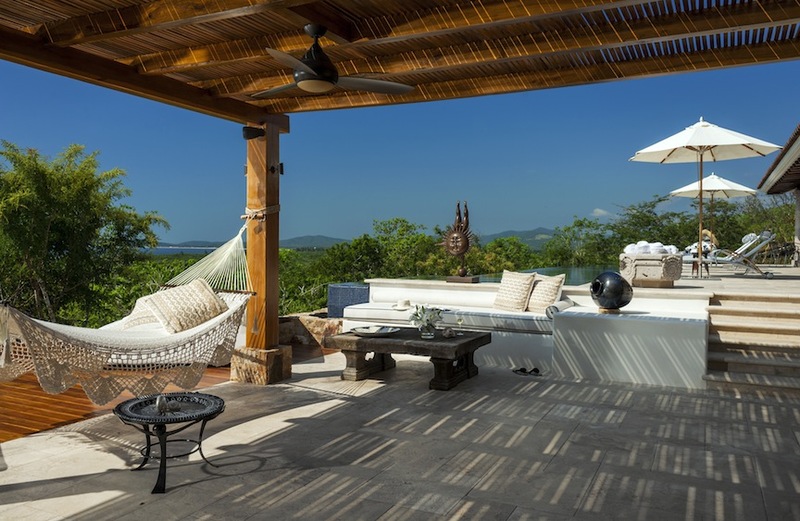 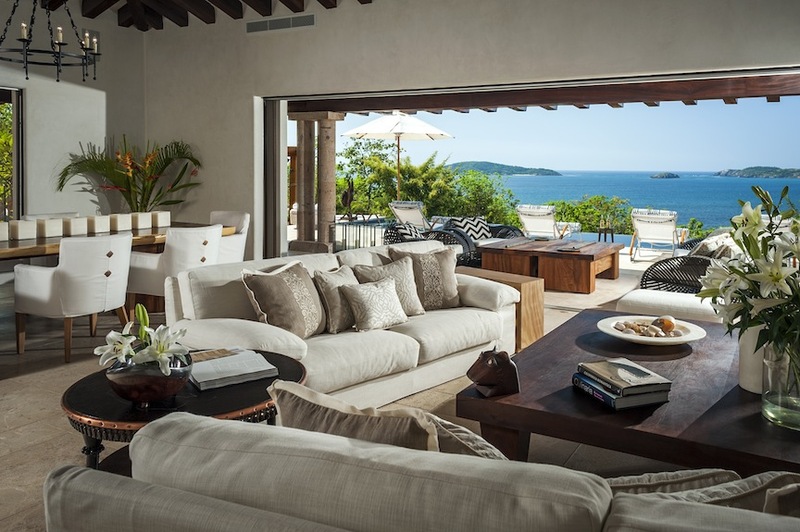 She has established herself as one of Mexico’s foremost interior designers with projects ranging from luxurious resort properties such as the Four Seasons Private Villas in Punta Mita to exceptionally personalized, high end residences throughout the region. 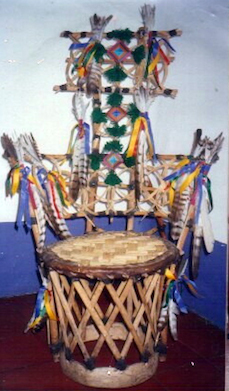 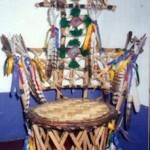 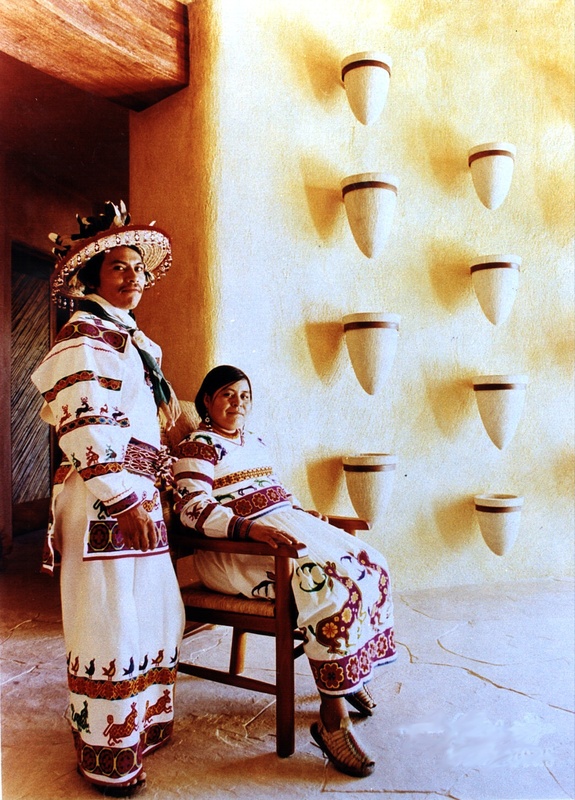 A unique advantage Katherine has is her passionate, personal working relationship with the local vendors, artisans, artists and indigenous communities of Mexico. 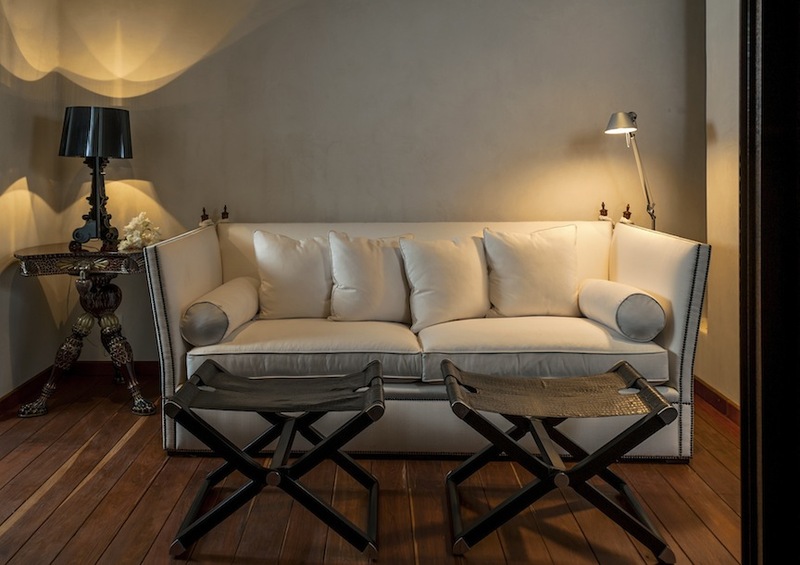 This extensive network of resources combined with her knowledge of global markets, allow her to effectively incorporate high-end design aesthetics, quality custom craftsmanship, value and technology. 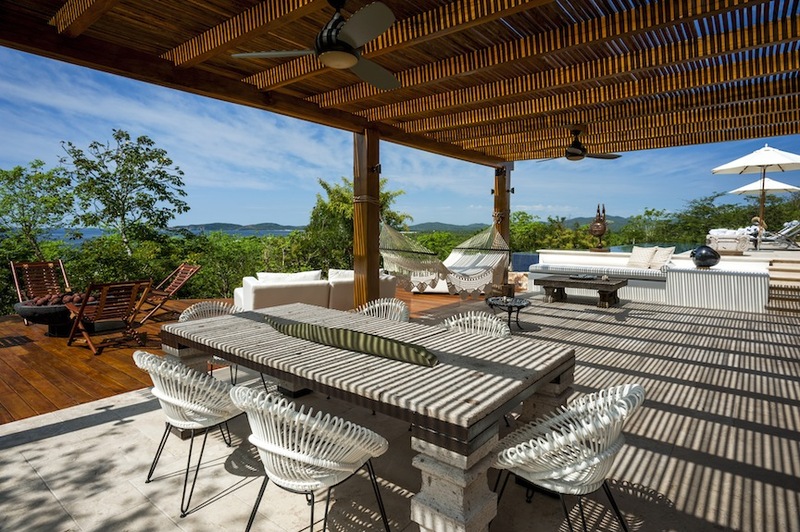 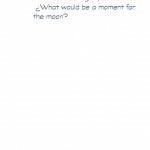 Katherine is a member of IIDA / International Interior Design Association, a member company of the Sustainable Furnishings Council and the Mexico Green Building Council, and has been published in numerous shelter magazines, periodicals, and books. 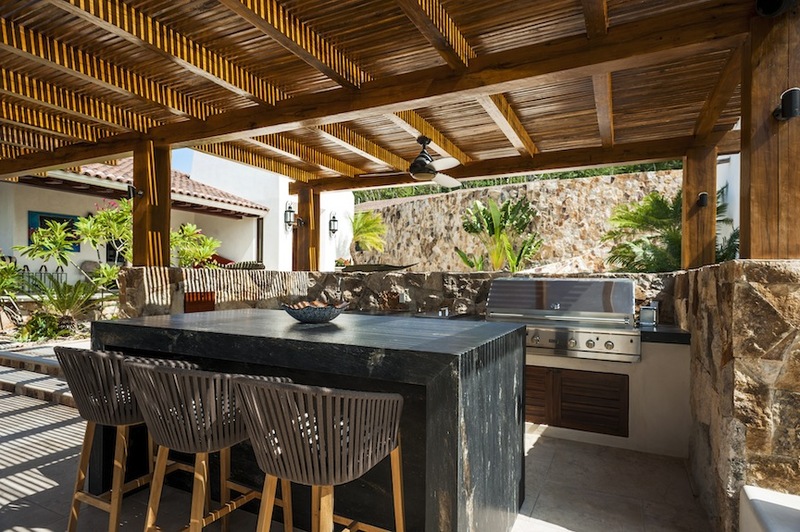 Scope of Project: Interior architectural and design package that aimed to establish the luxury standard for the “Punta Mita style”. 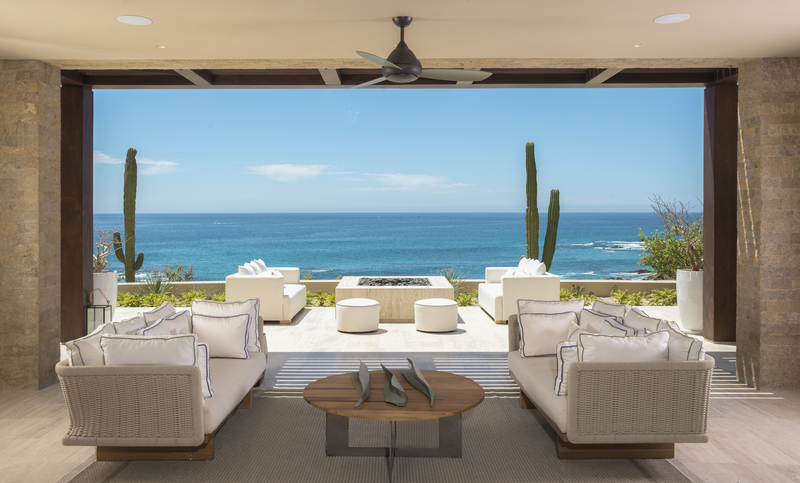 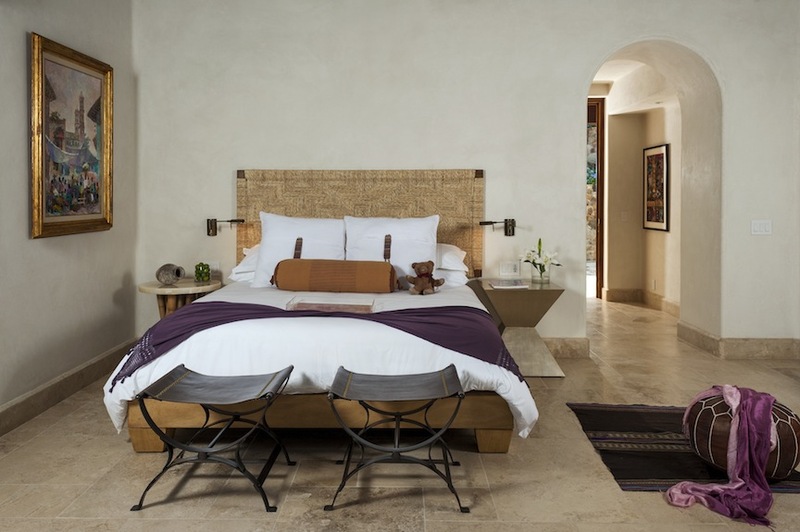 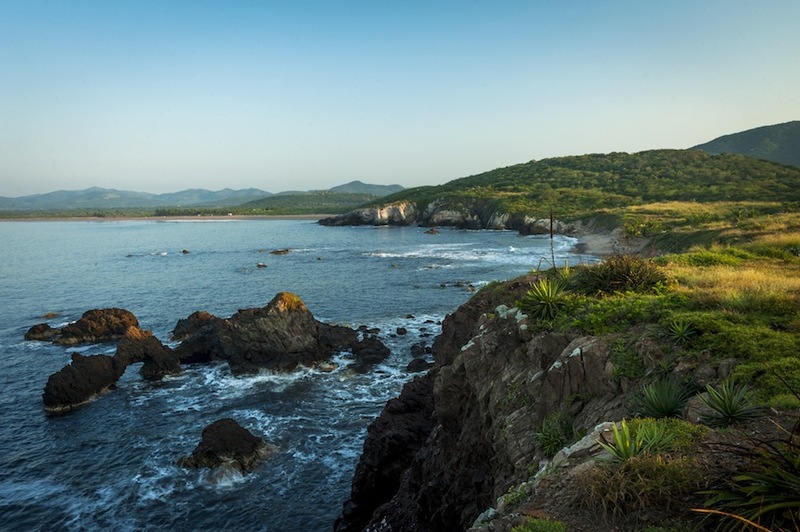 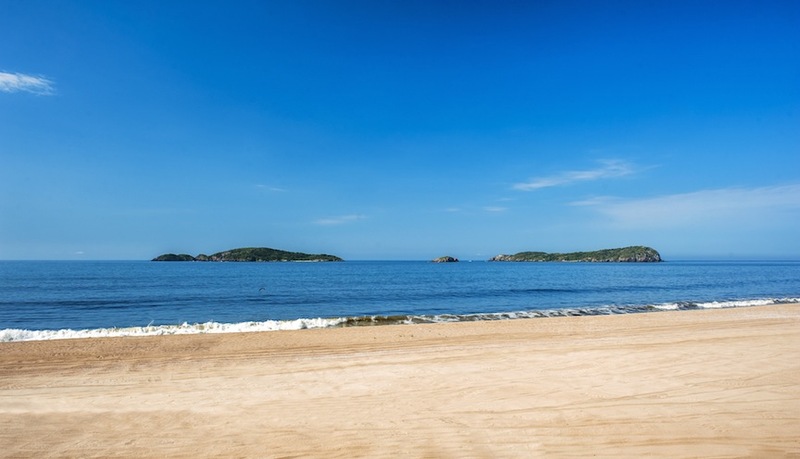 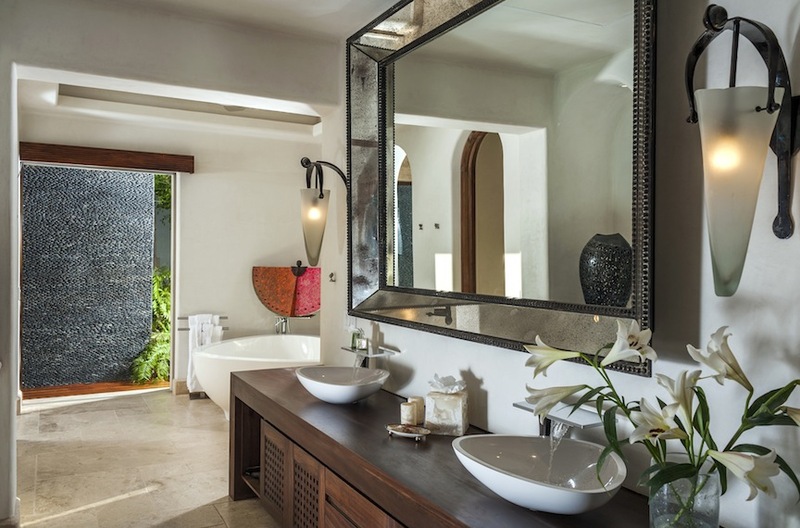 We worked with the developer of Punta Mita; Dine, and the Four Seasons Resort to develop furniture, art and accessory packages for the 4 bedroom, 4 1/2 bath roughly 7,000 square feet ocean view Villas. 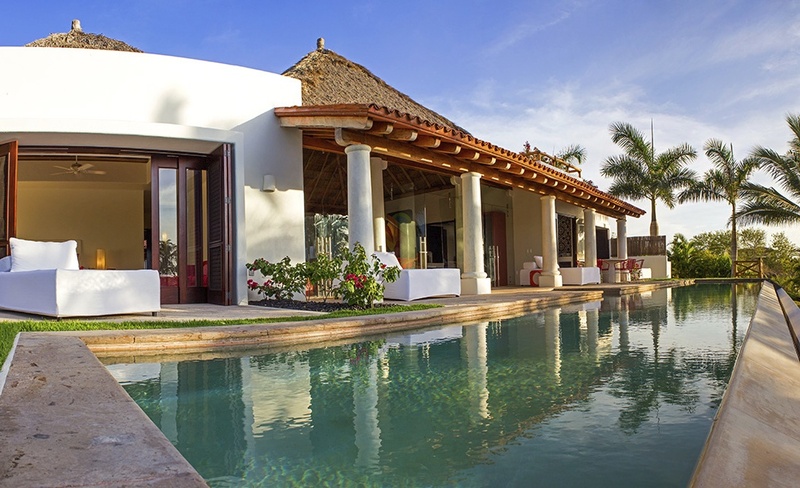 Special requirements: Involved working with the very precise brand standards of Four Seasons, an additional corporation (Dine, developer of the Villas) as well as each of the individual purchase clients of the Four Seasons Villas. 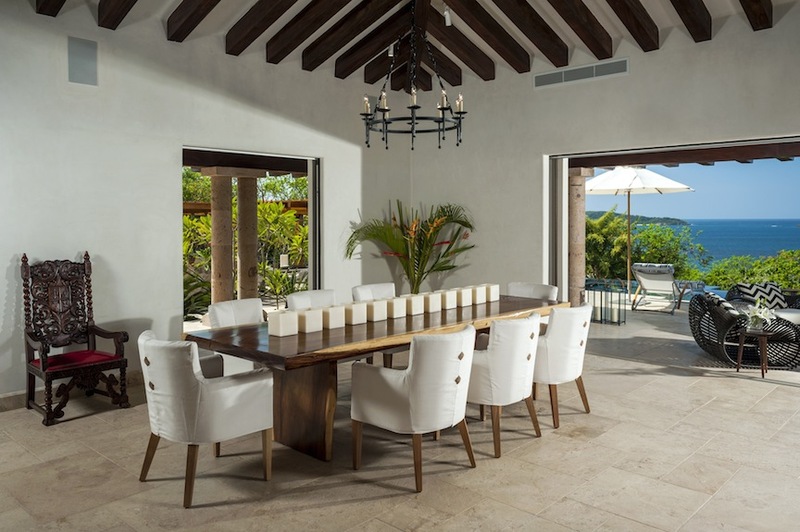 Two design packages for furniture and finishes were created that would be flexible enough to let the clients choose, and feel as if they were getting a very custom interior design package. 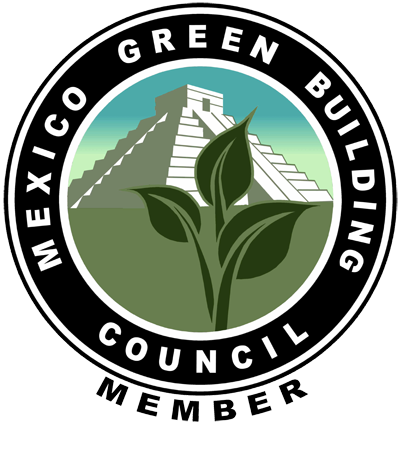 In addition, the project involved coordination with contractors and purchasing agents from both the US and Mexico. 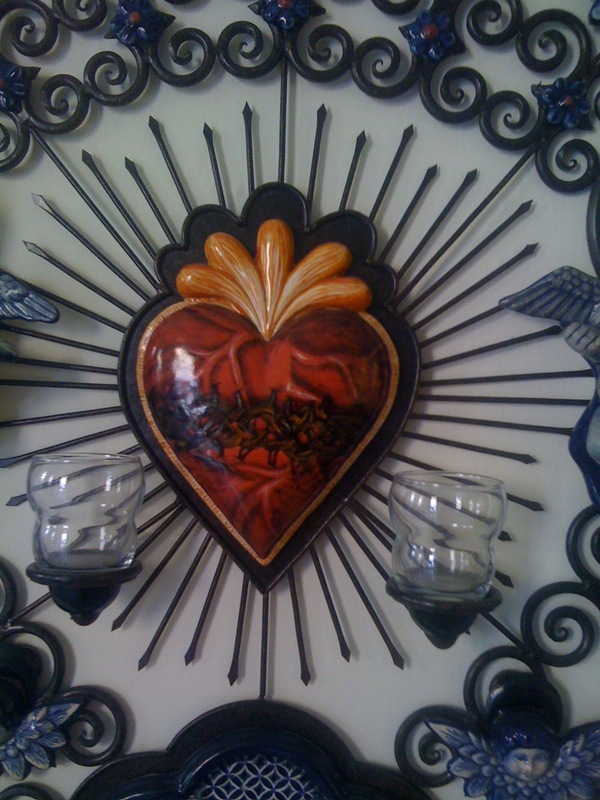 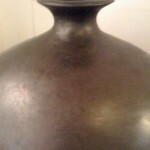 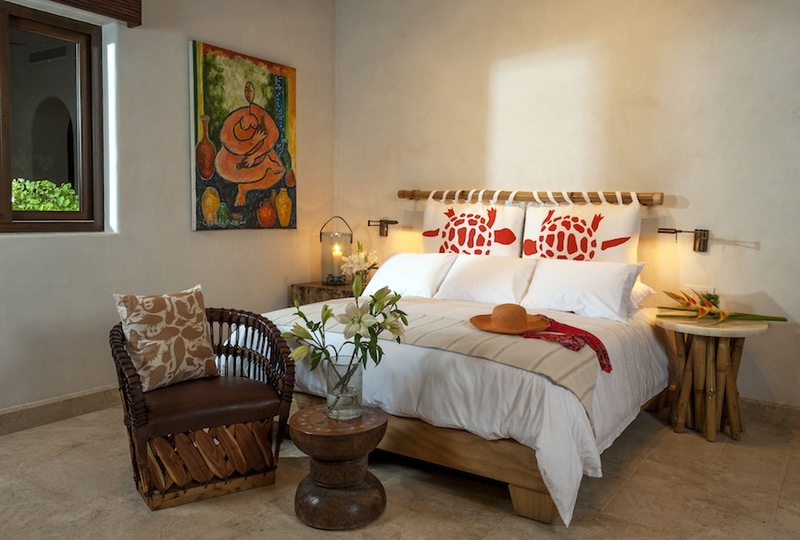 Design Approach: Blur the distinction between fine art and folk art so that buyers and renters would “get” the inherent essence of Mexico via custom made furnishings that were related to the Nayarit Pacific coast, and also indigenous handicrafts and textiles that were not commonly seen in the area – all while keeping the design fresh and contemporary. 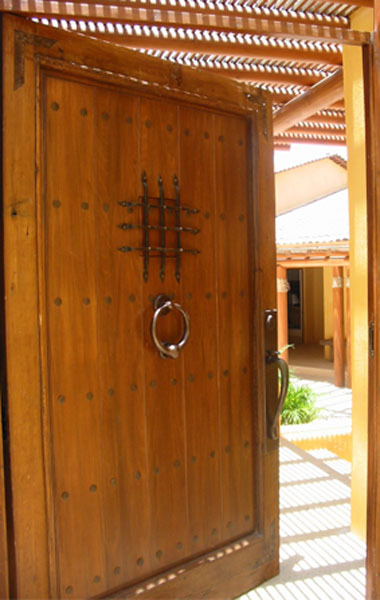 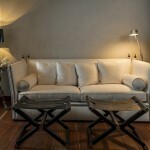 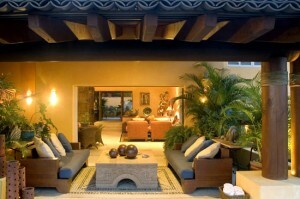 Amazing coordination with the architect from reviewing interior architectural details, lighting, kitchens etc. 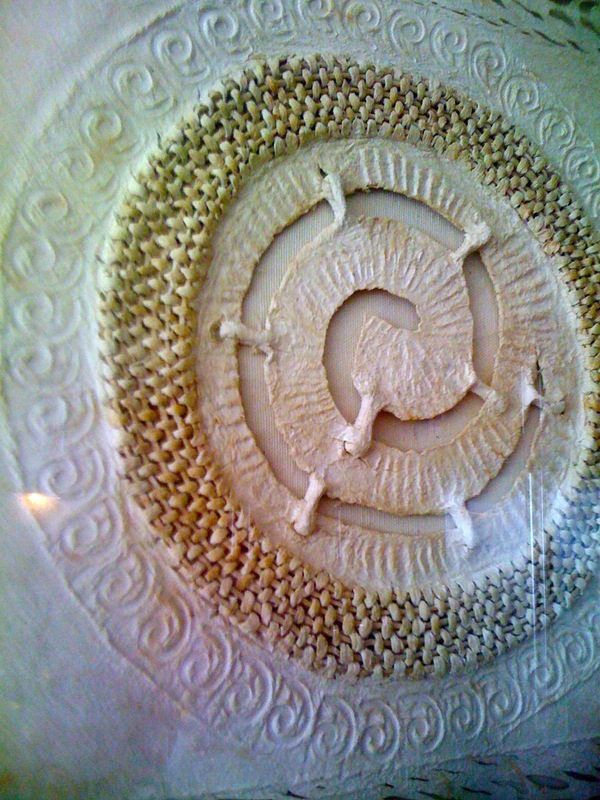 to the special piece I found along the way and wanted to insert into a wall. 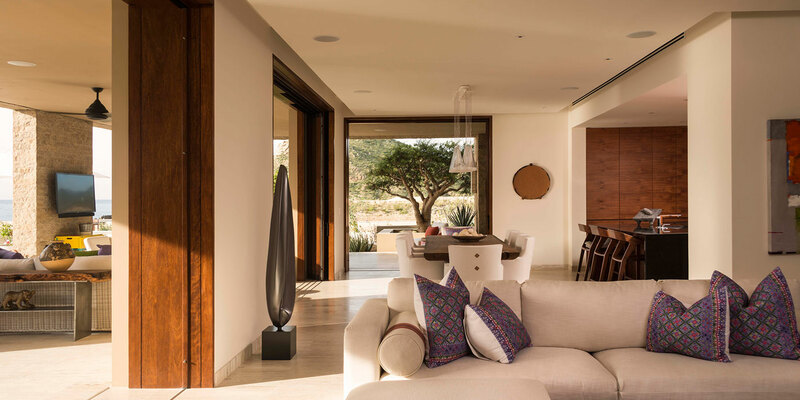 Given the hillside location of the Four Seasons Villas – with spectacular ocean views – I took the approach that between the interior and exterior, one’s eye should not stop. 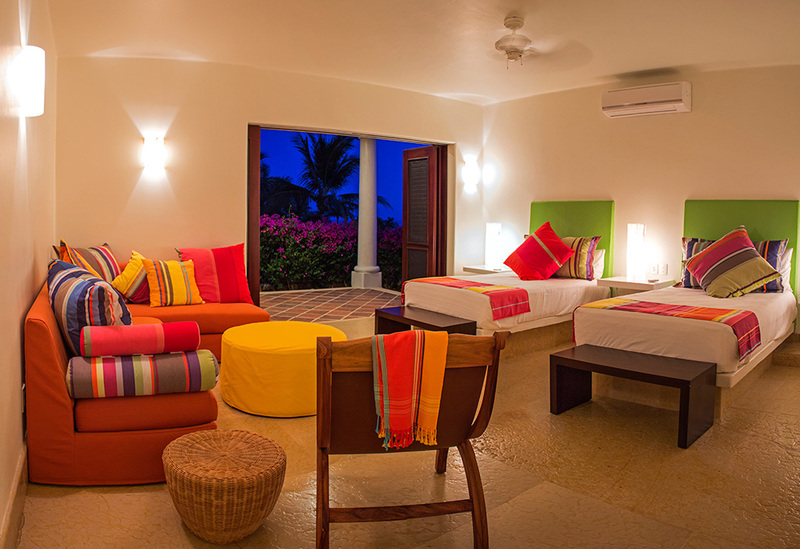 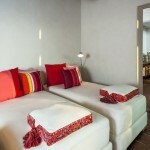 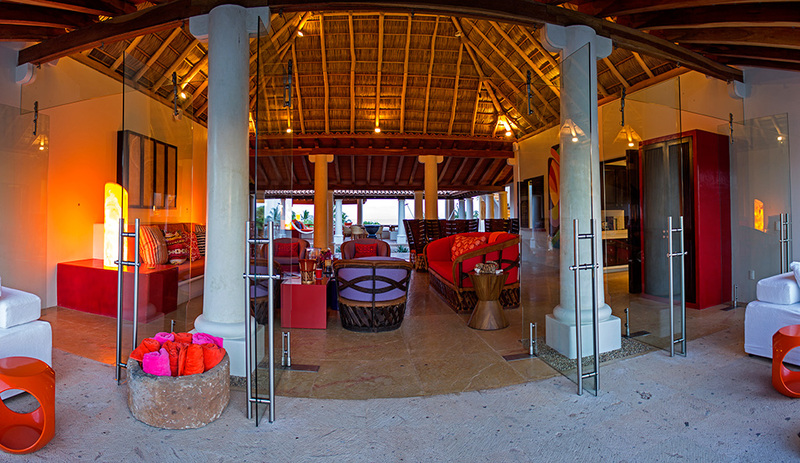 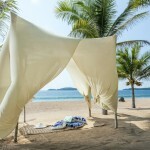 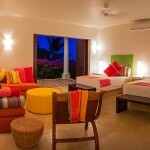 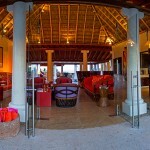 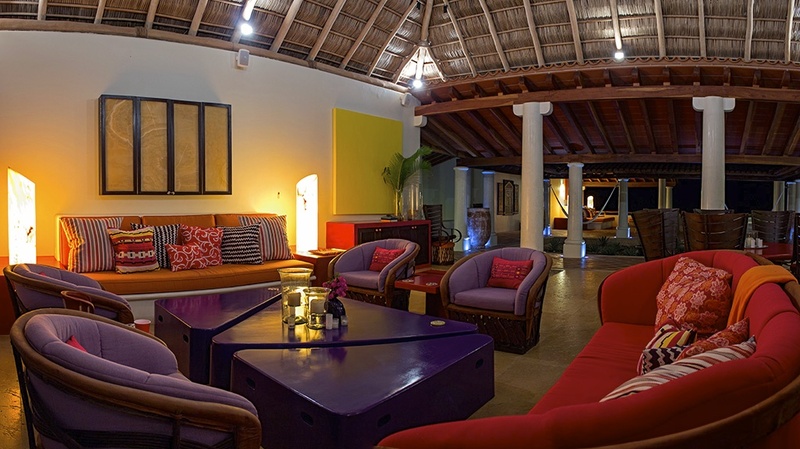 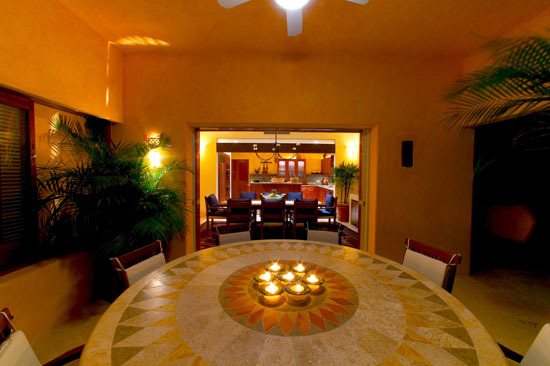 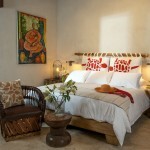 Conclusion: The interior design set the design identity for Punta Mita. 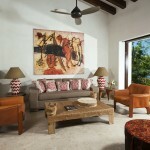 Buying trips allowed me to vary the art and accessories. 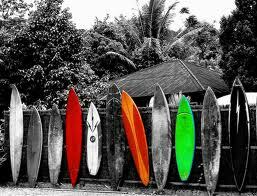 I refined my skills and received an education thru working with so many vastly different clients, many whom became my friends along the way. 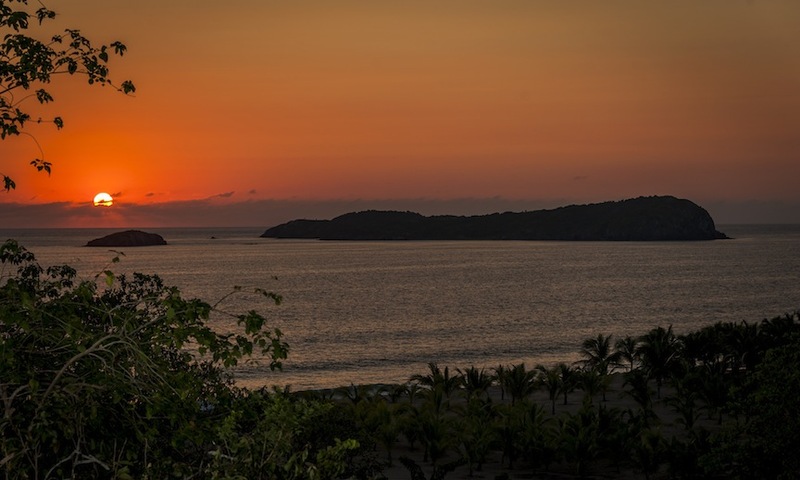 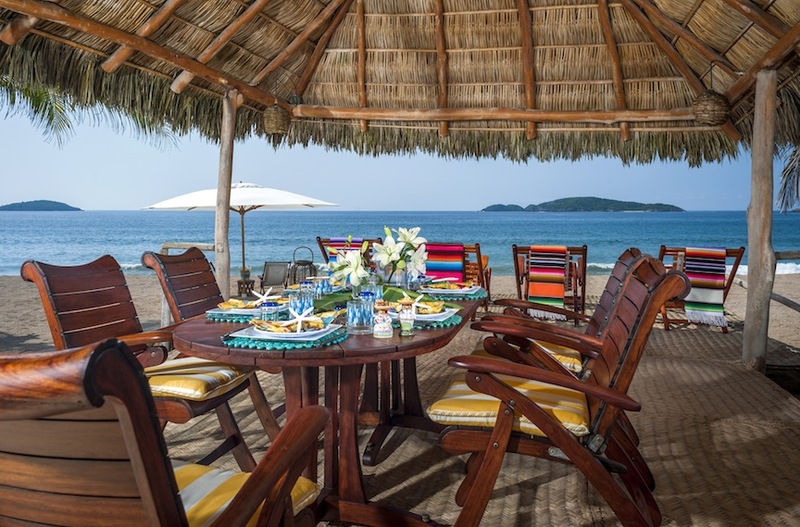 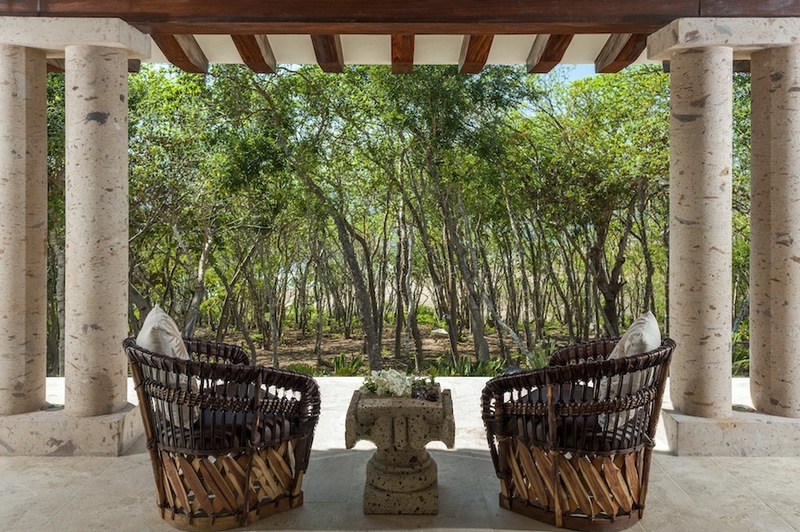 Gratitude to Dine and Four Seasons… their standards and quality have served me well in Punta Mita both in a design sense and with my clients. 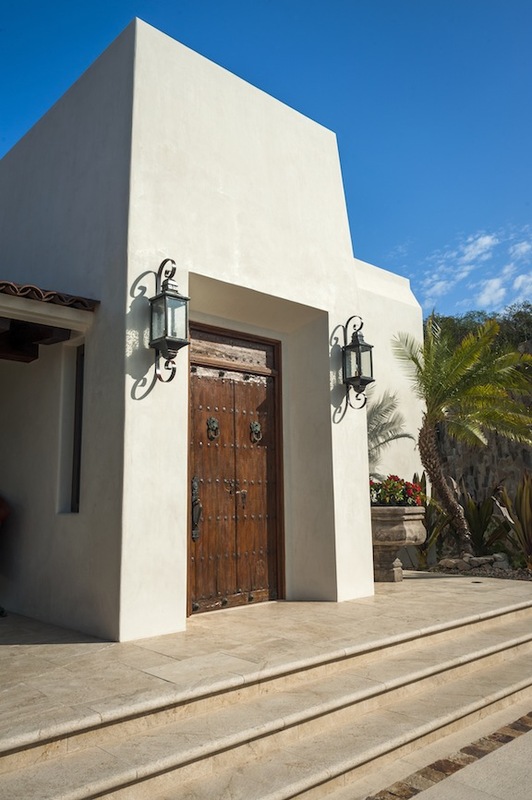 After completing 20 Villas I am proud of the fact that the current team has been able to carry forward with the established signature design standard. 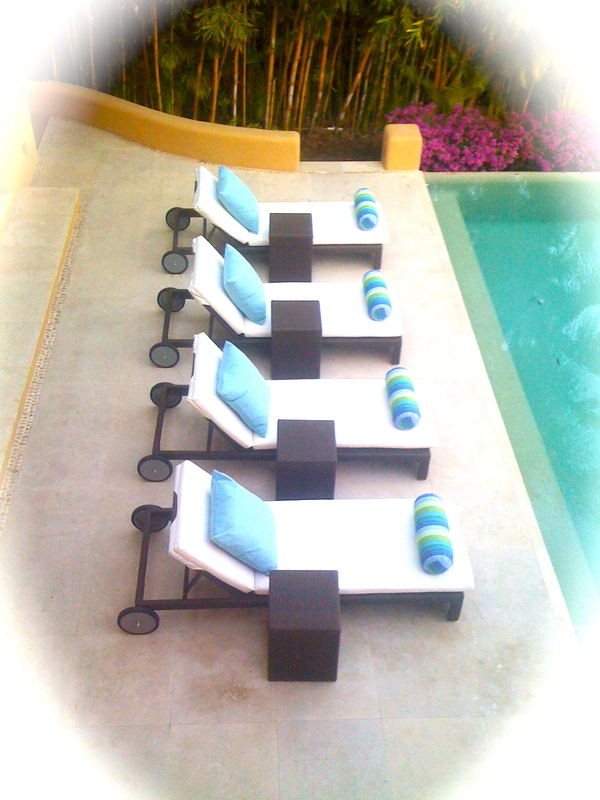 On time, on budget and always fun! 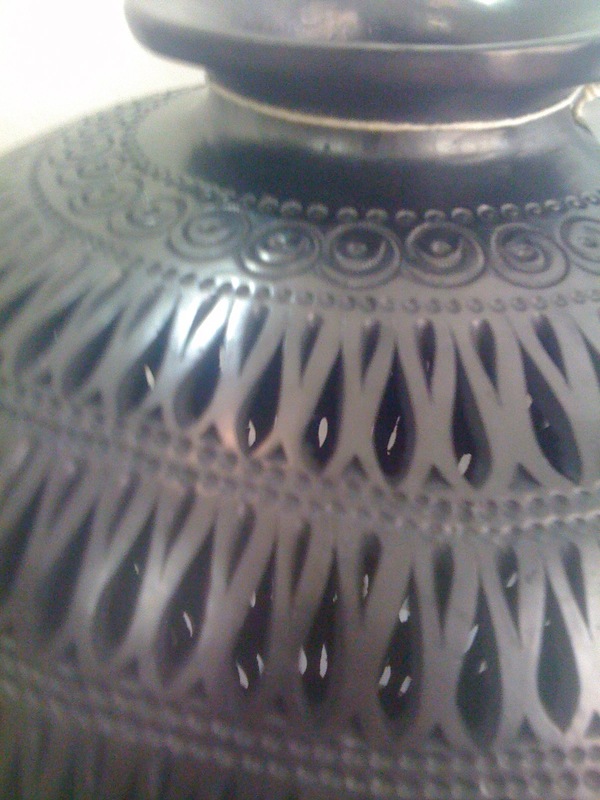 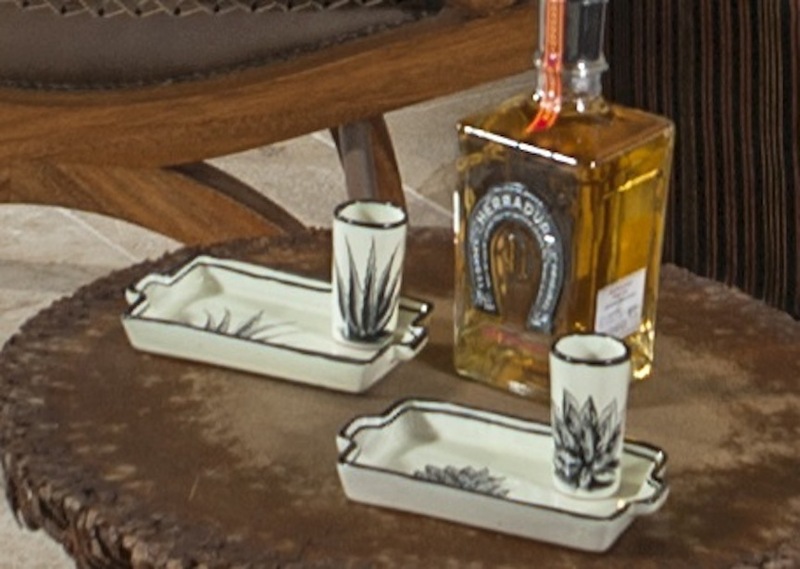 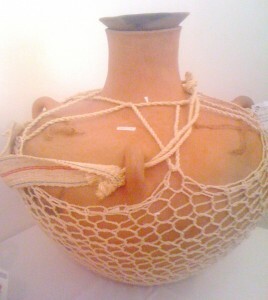 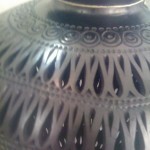 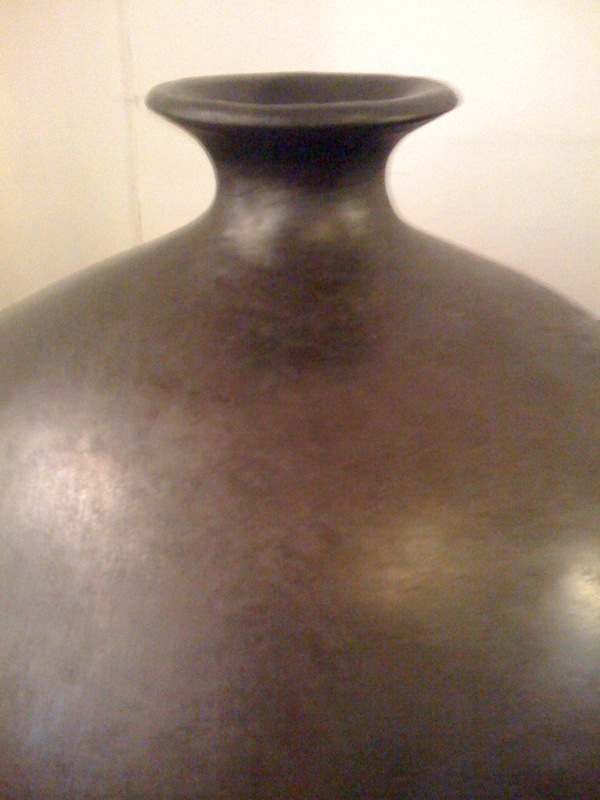 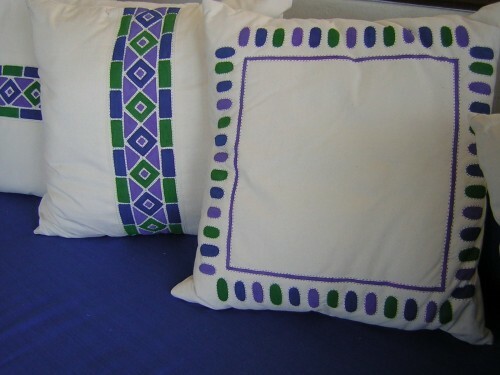 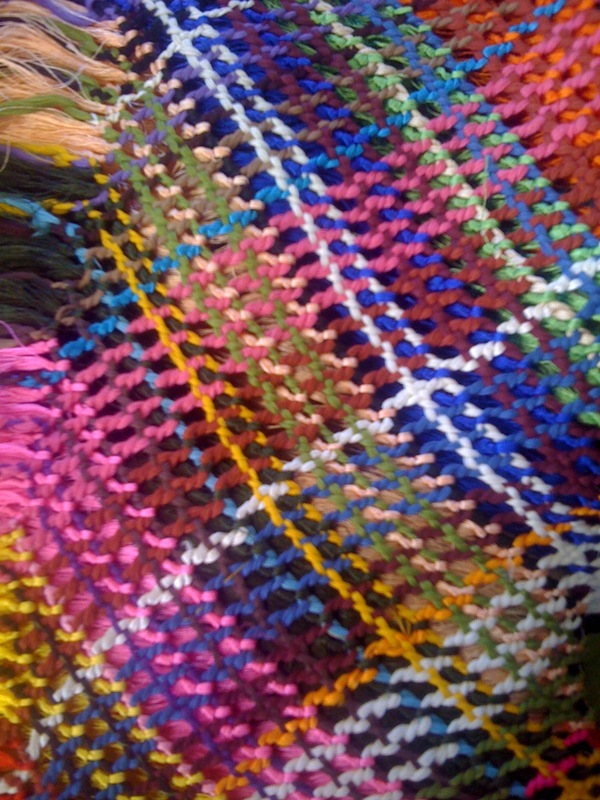 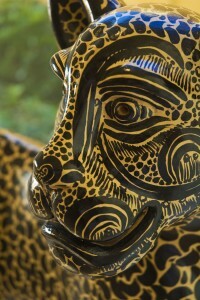 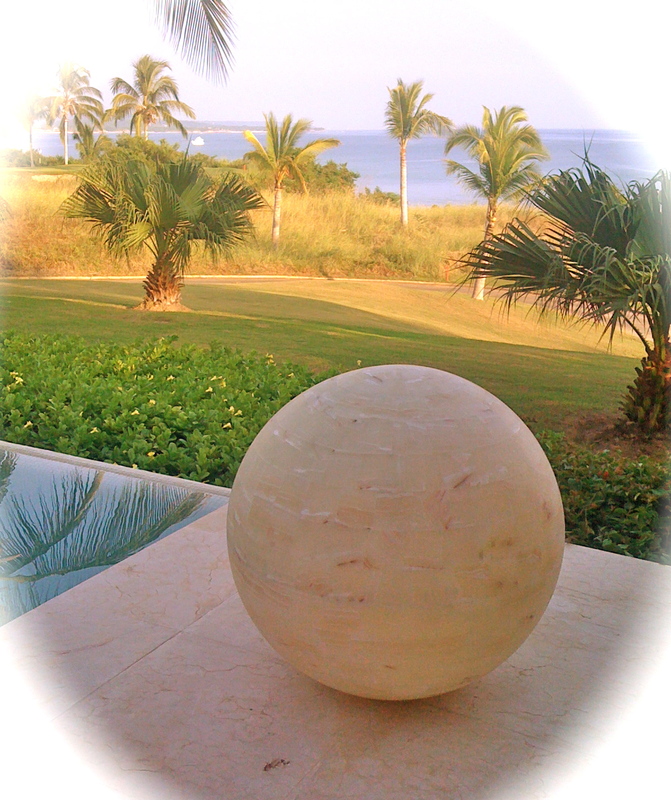 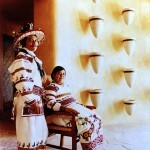 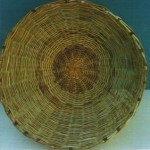 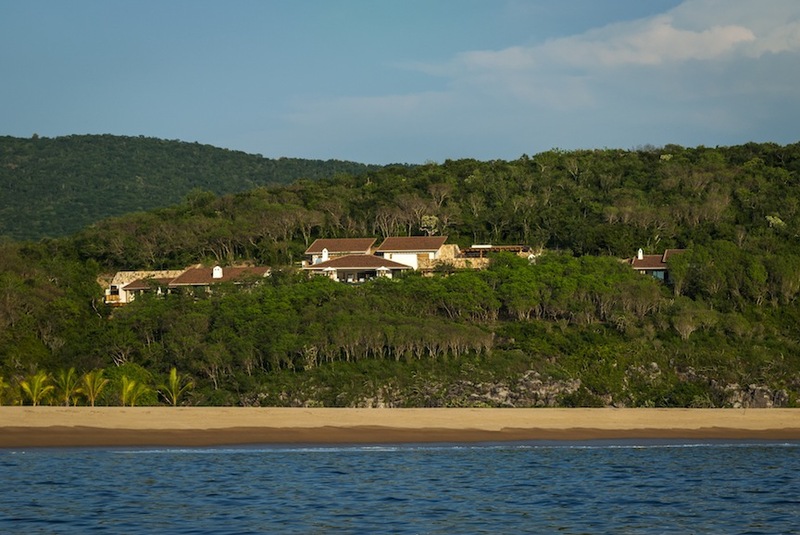 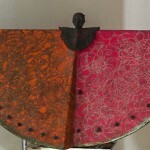 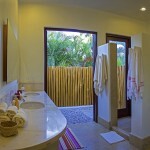 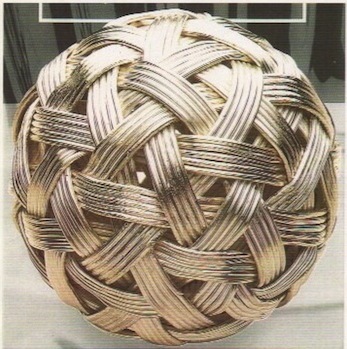 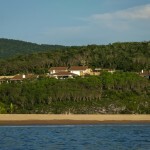 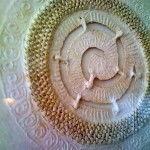 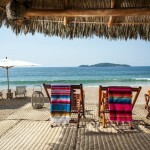 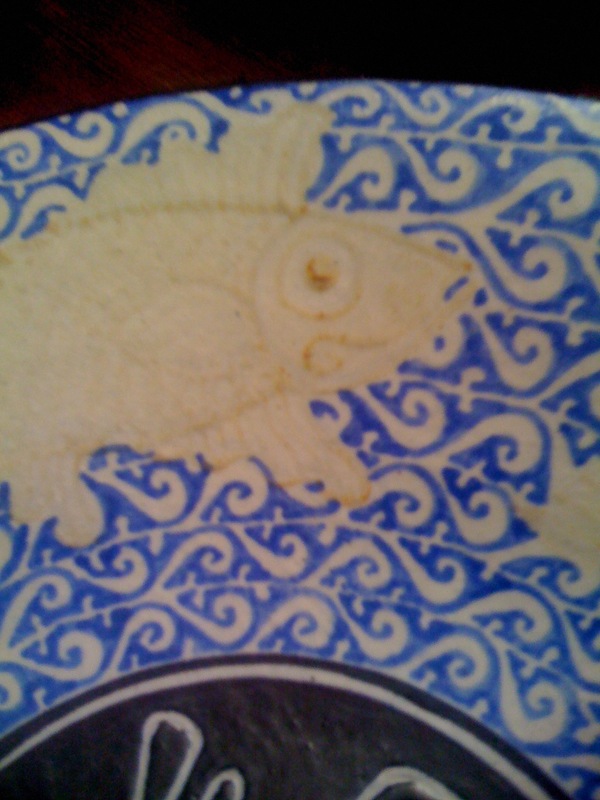 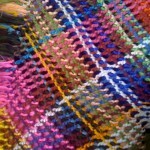 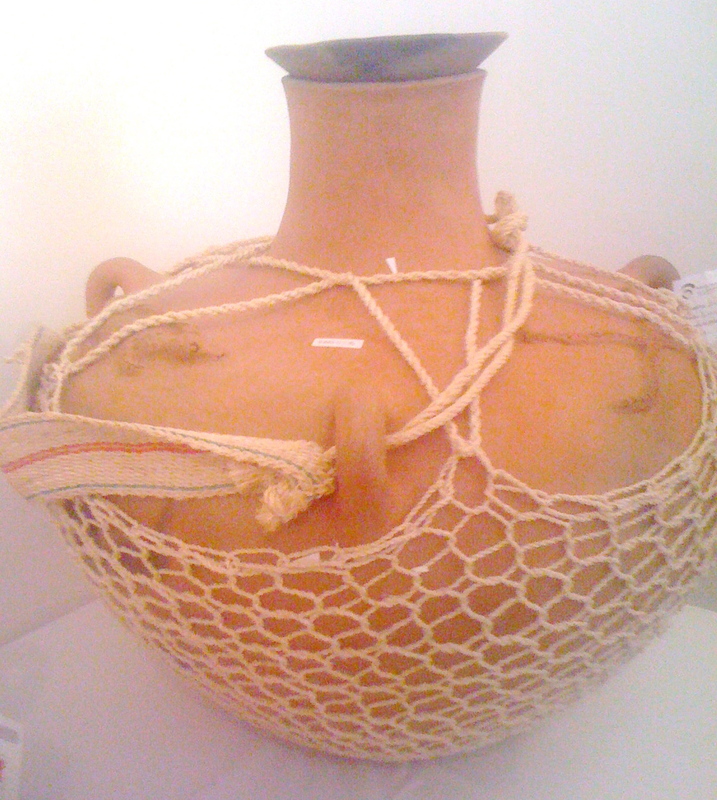 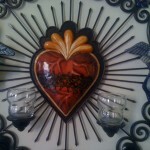 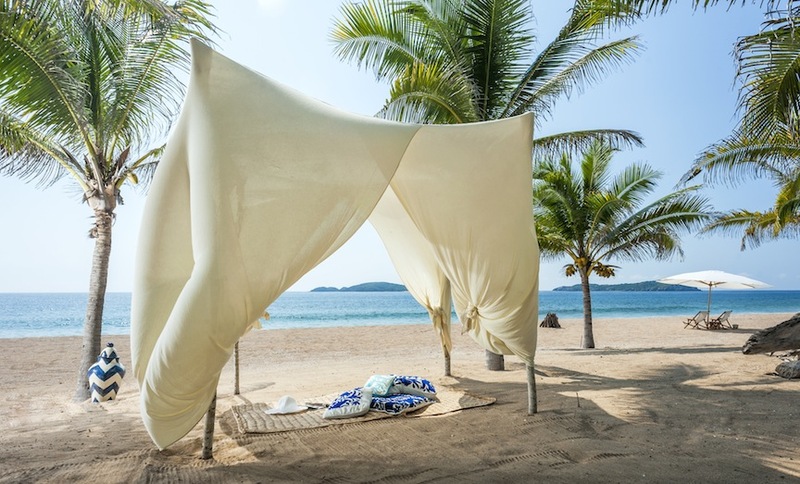 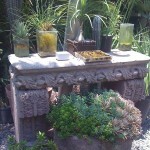 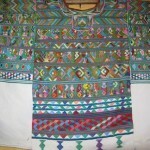 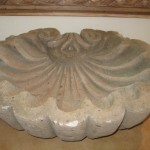 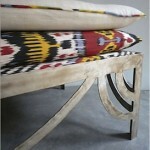 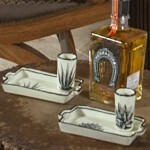 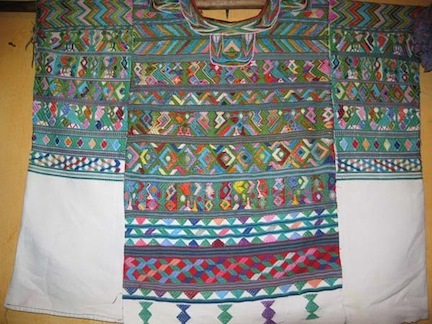 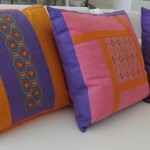 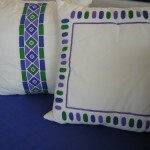 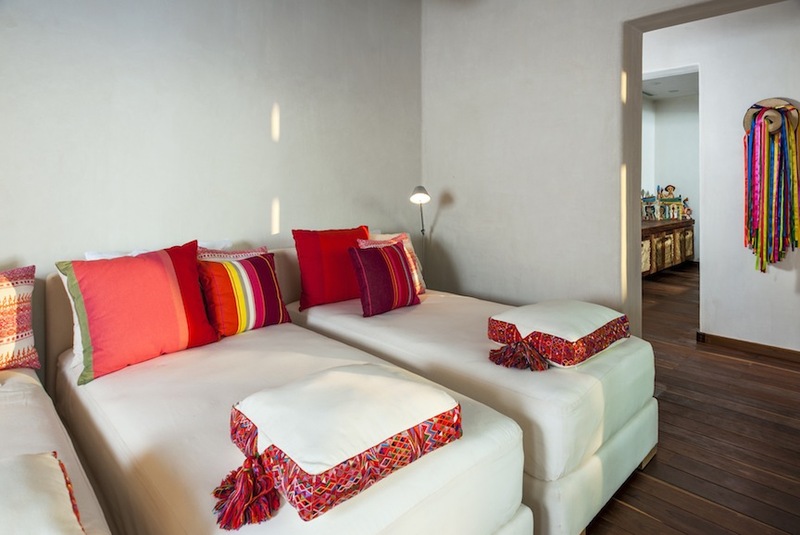 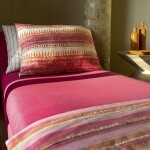 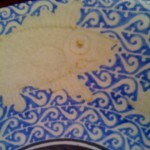 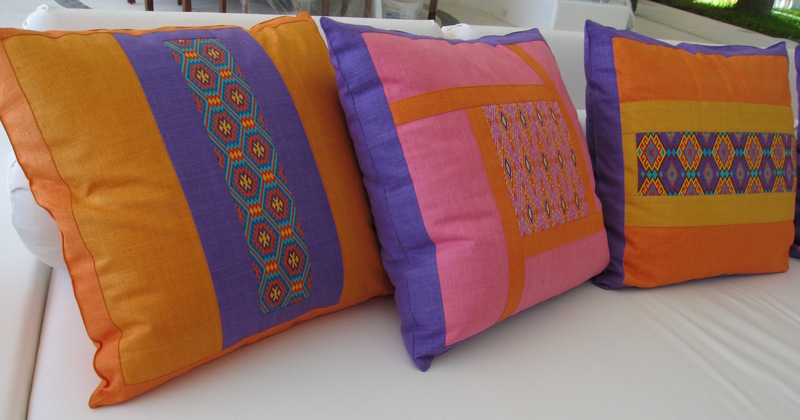 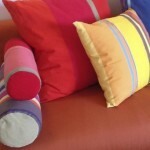 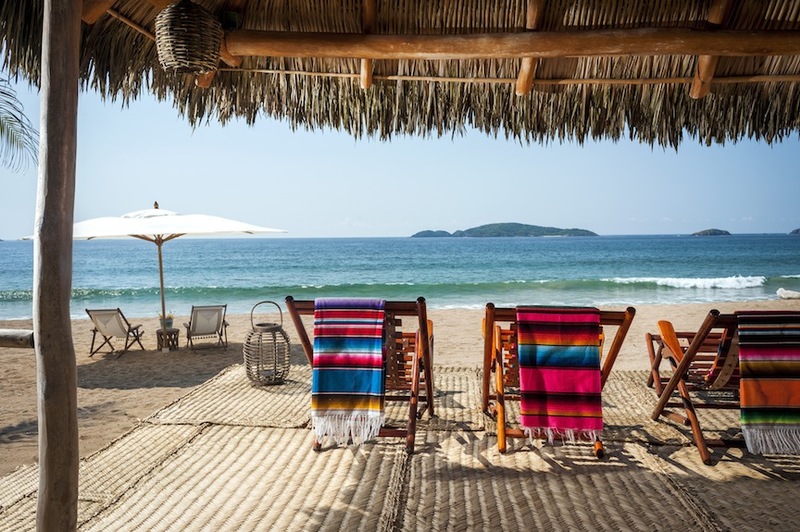 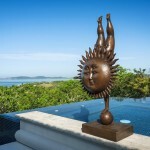 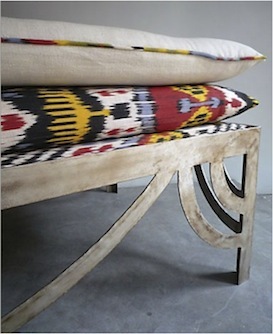 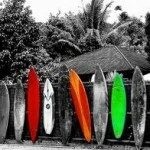 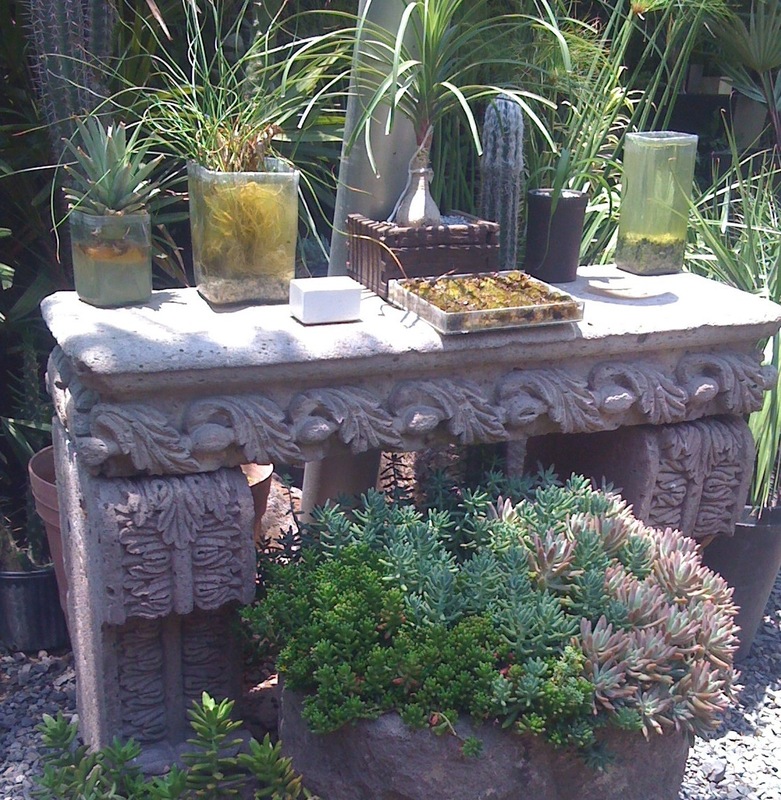 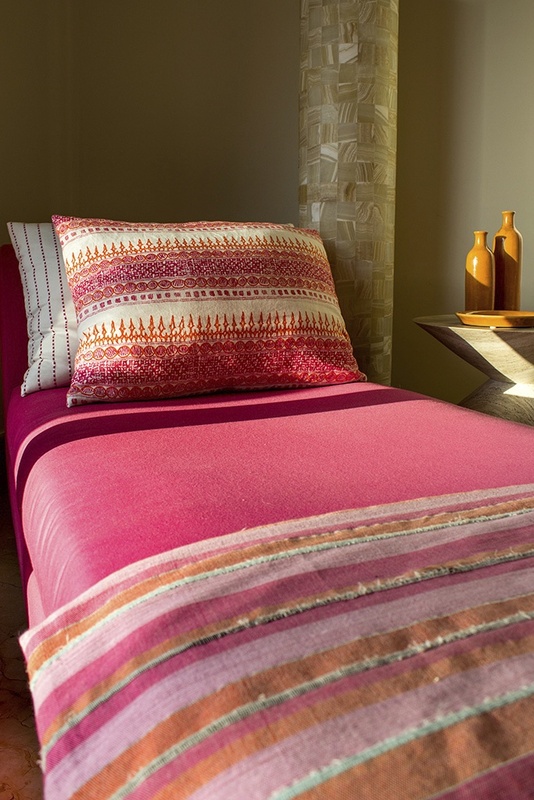 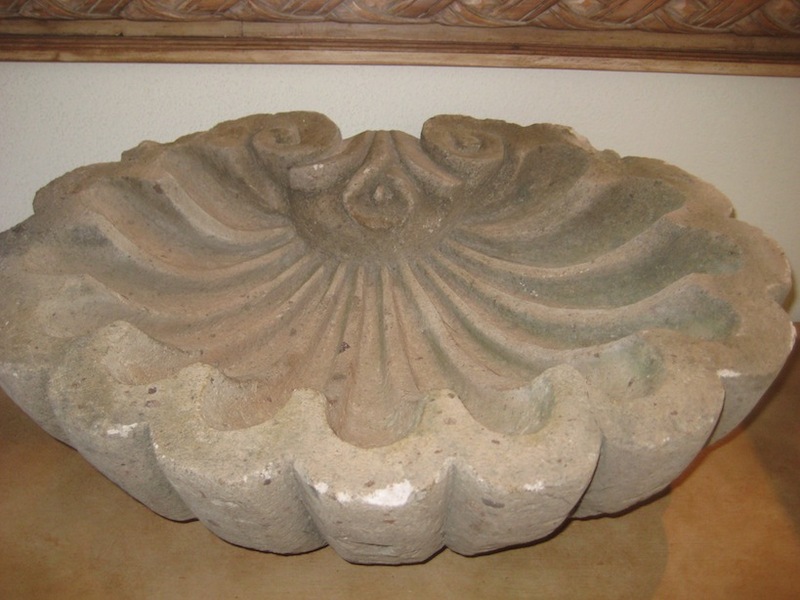 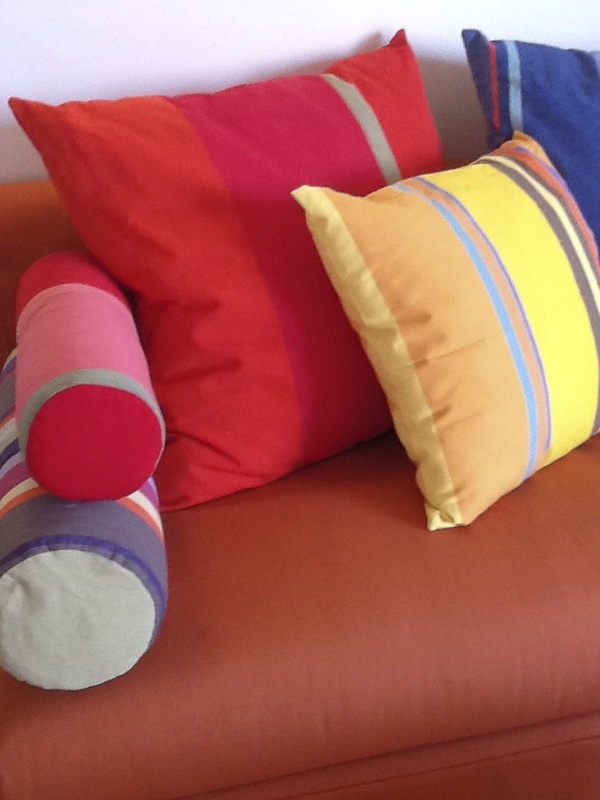 Sustainable, handmade in Oaxaca and great for beach living in Punta Mita…. 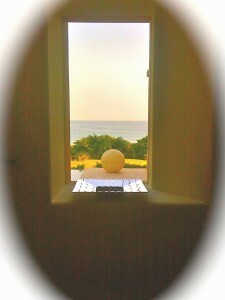 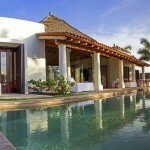 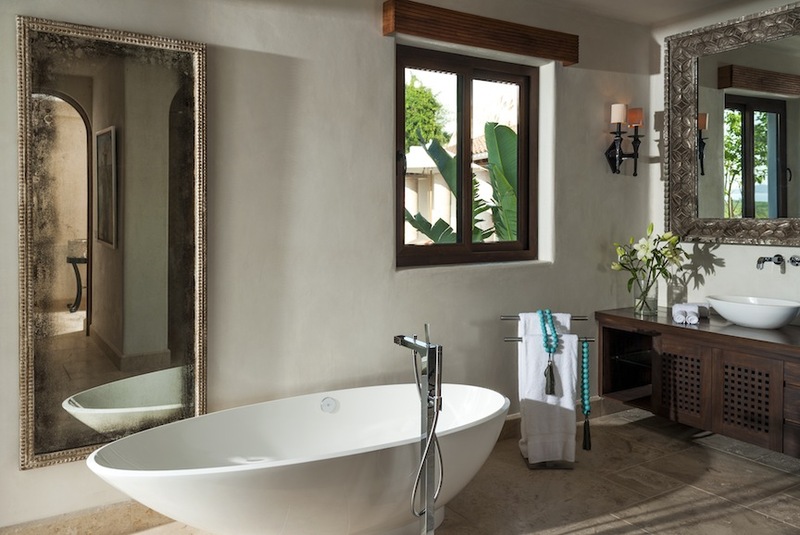 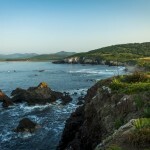 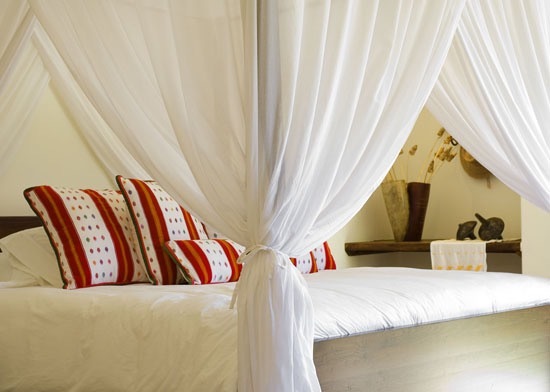 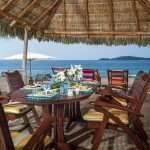 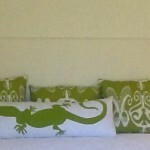 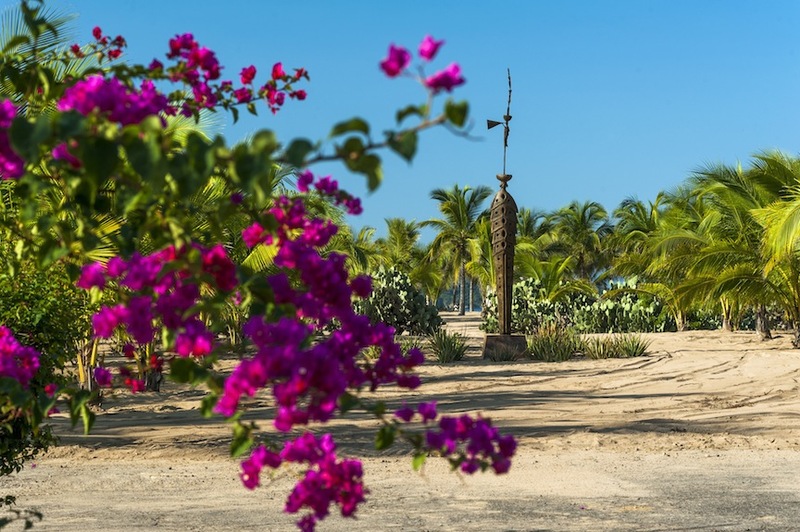 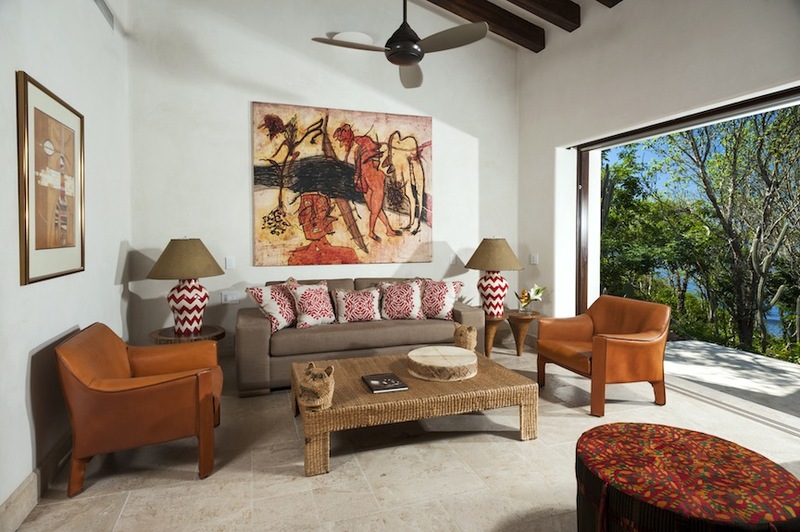 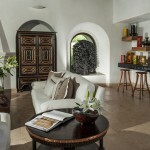 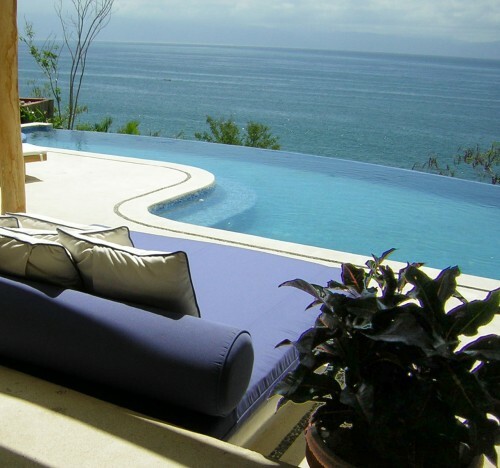 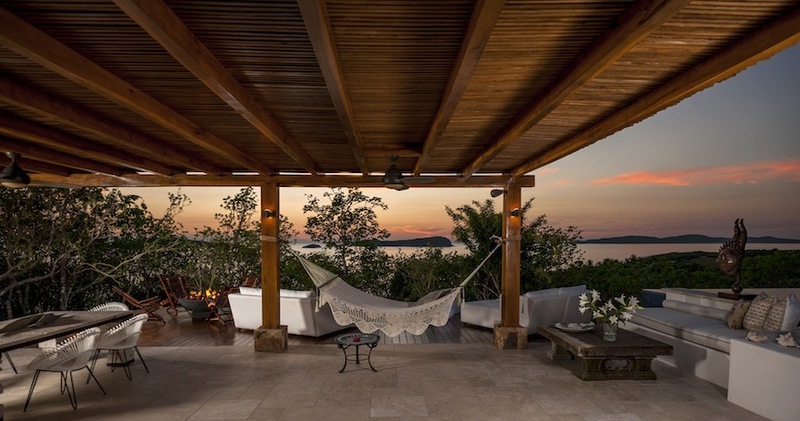 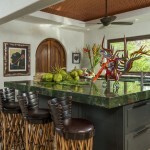 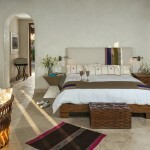 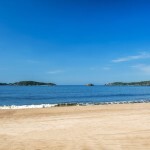 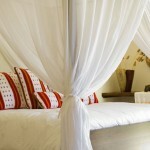 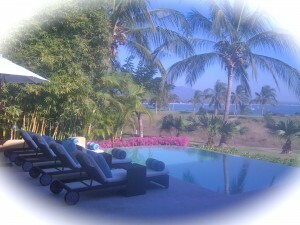 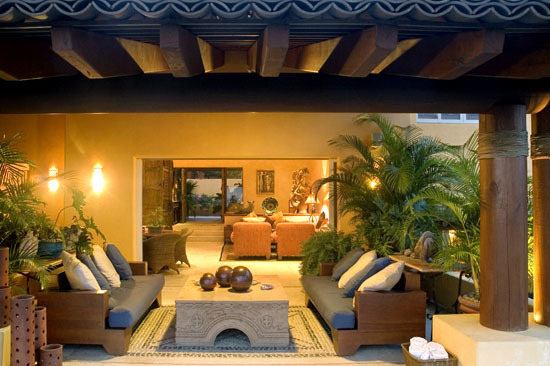 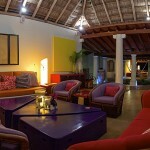 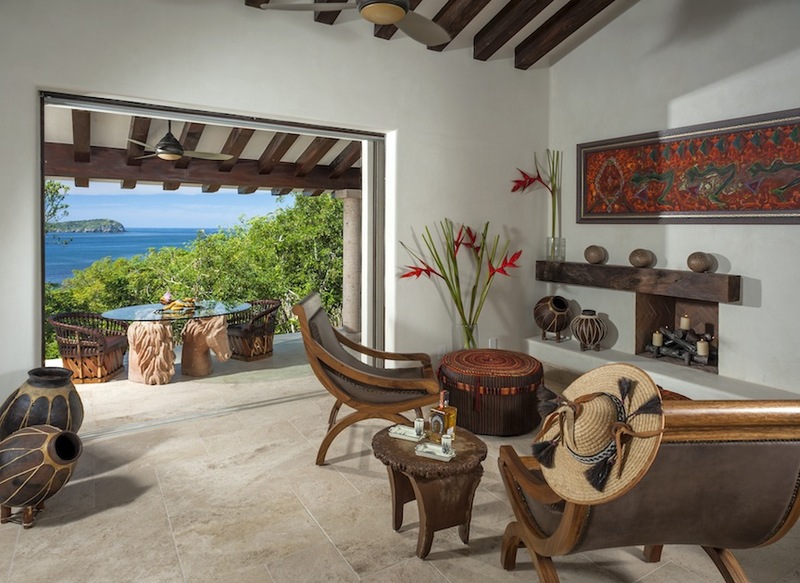 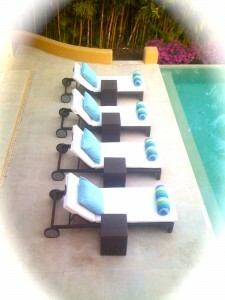 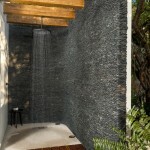 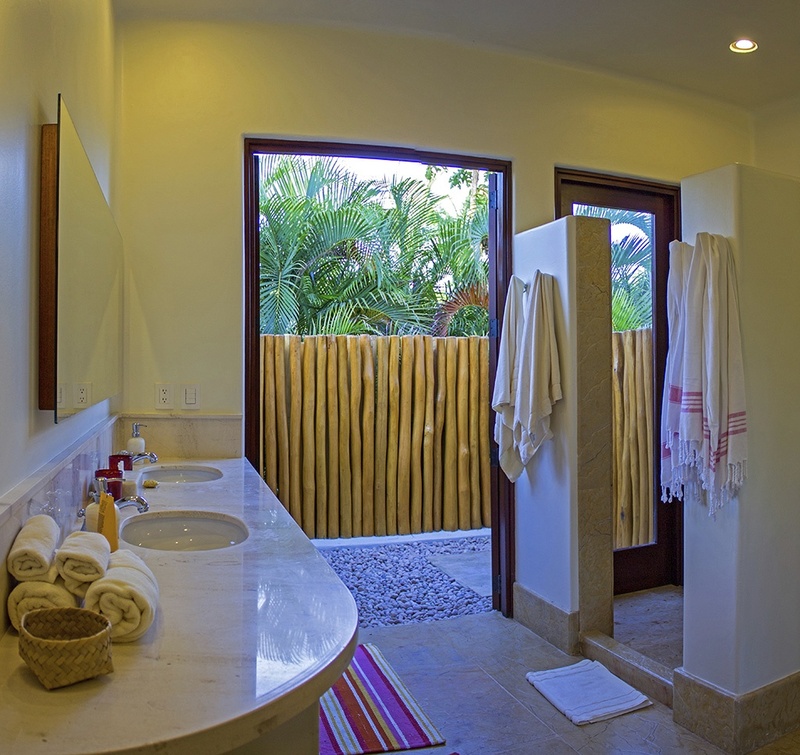 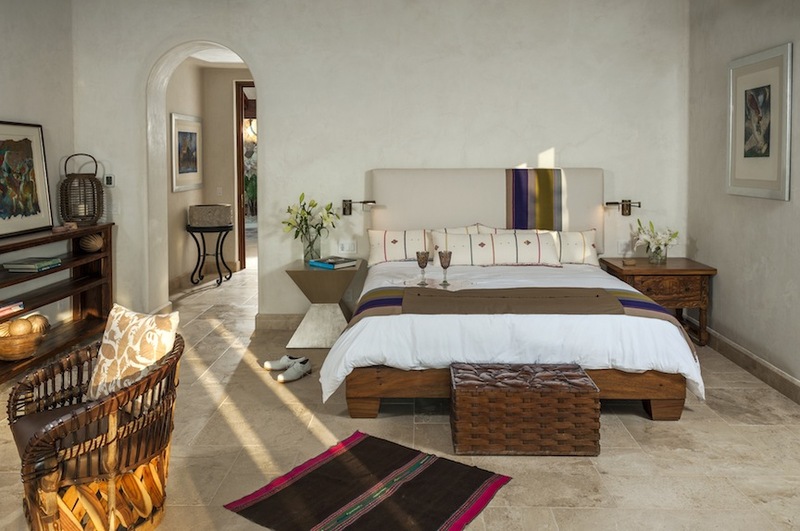 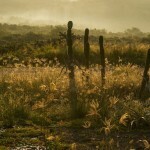 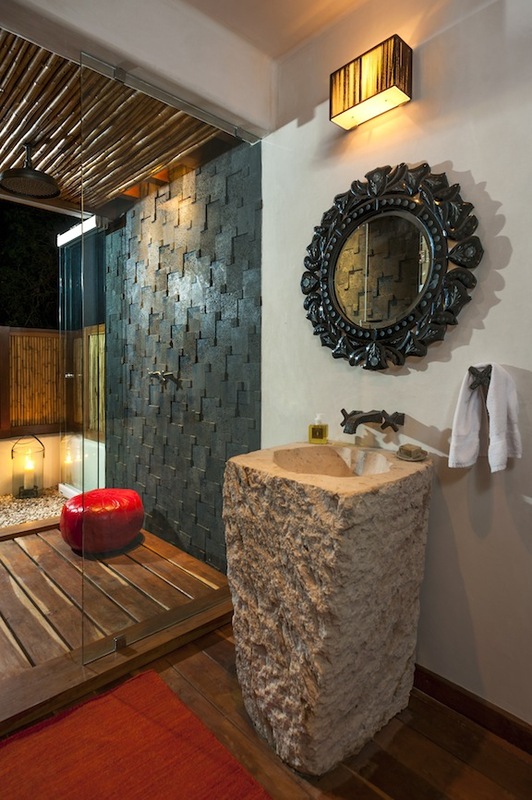 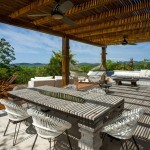 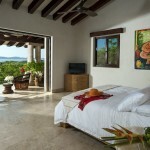 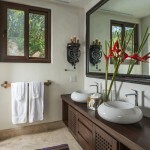 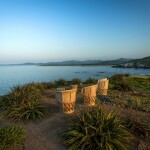 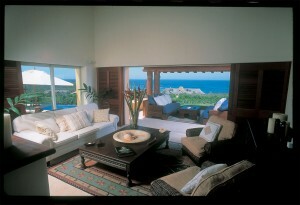 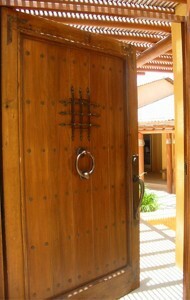 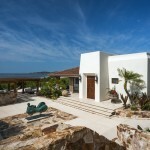 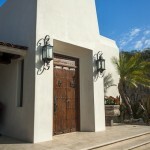 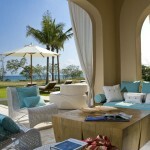 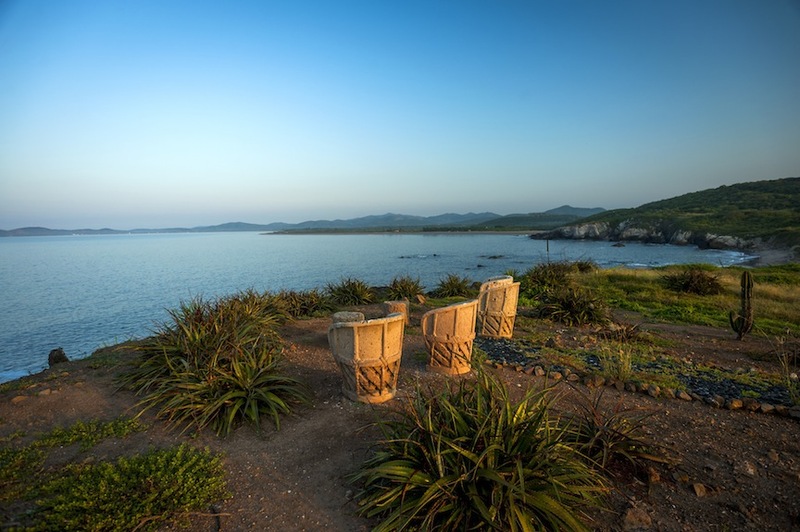 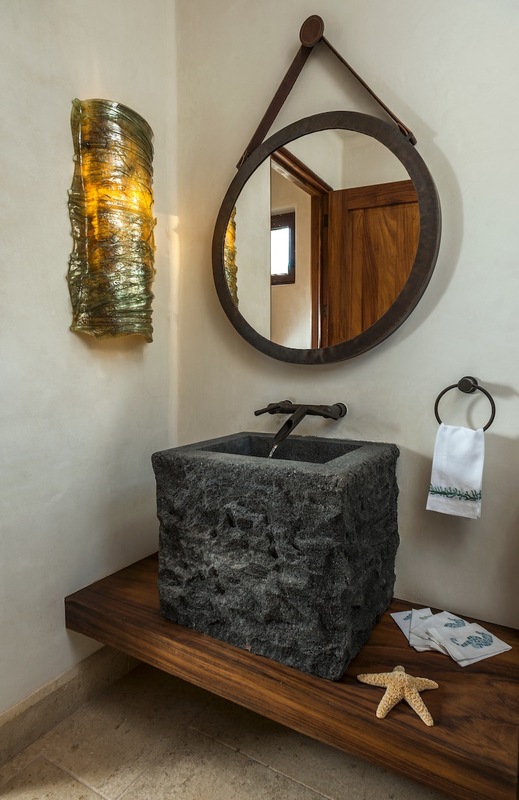 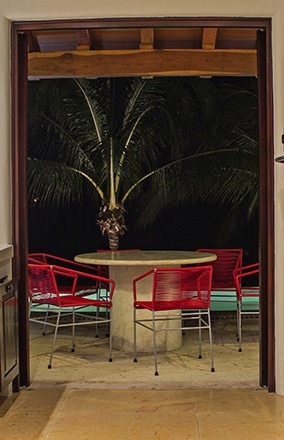 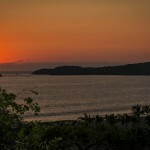 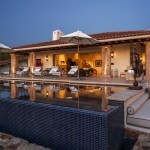 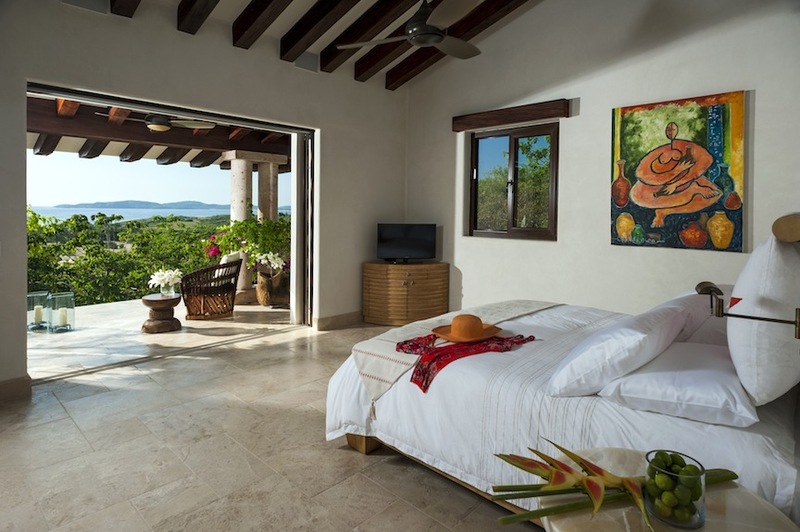 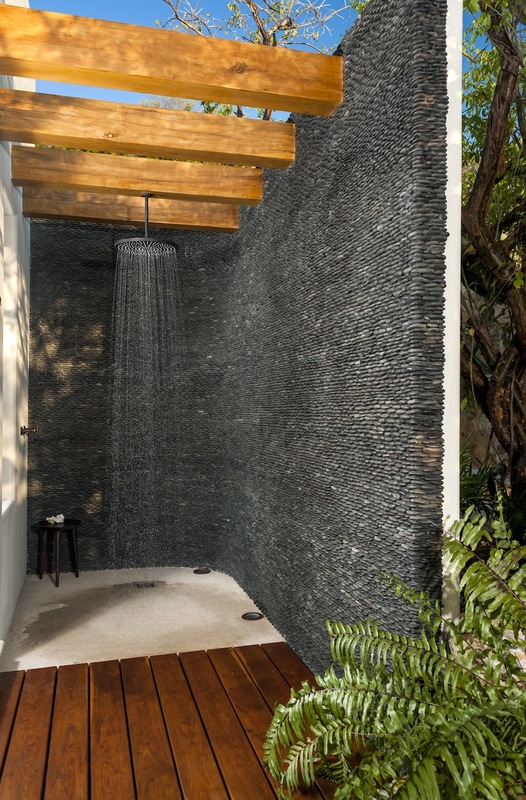 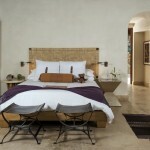 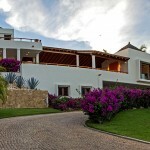 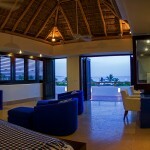 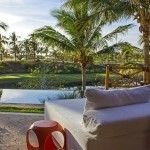 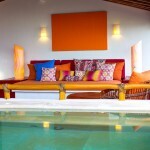 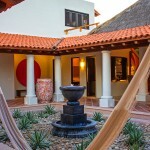 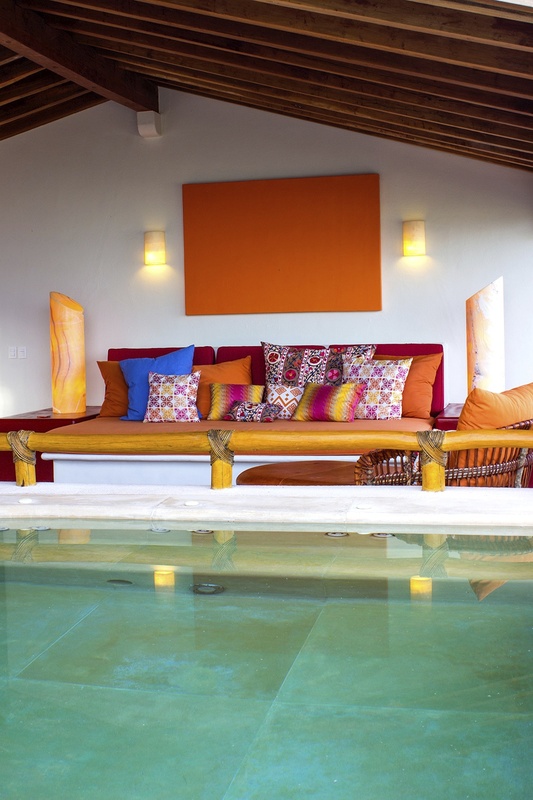 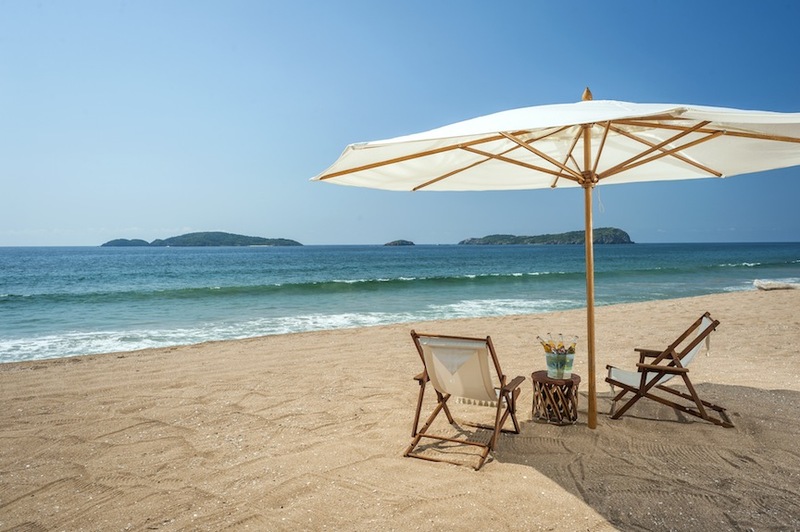 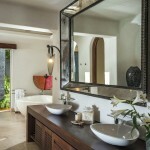 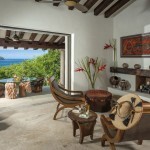 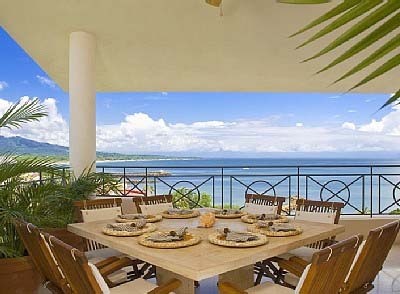 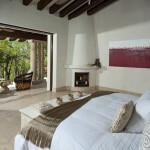 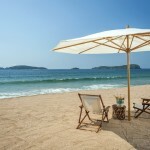 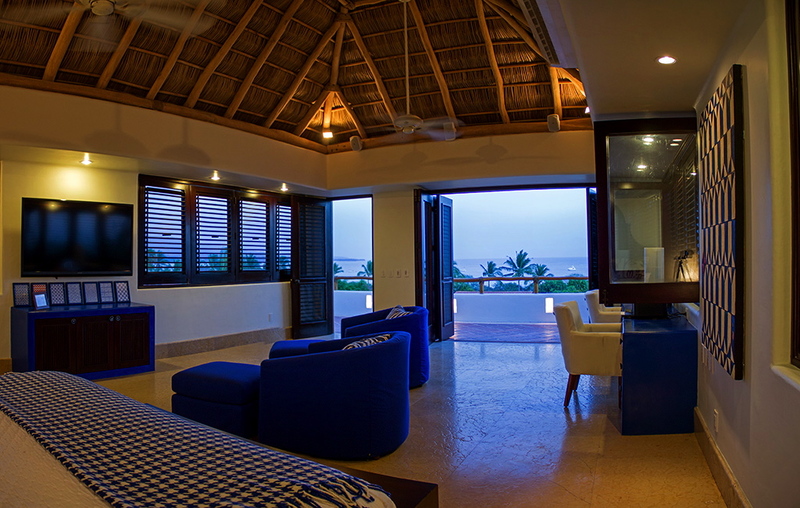 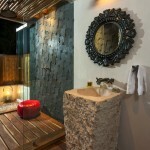 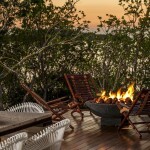 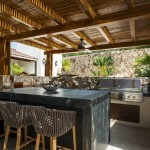 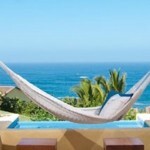 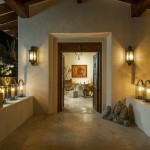 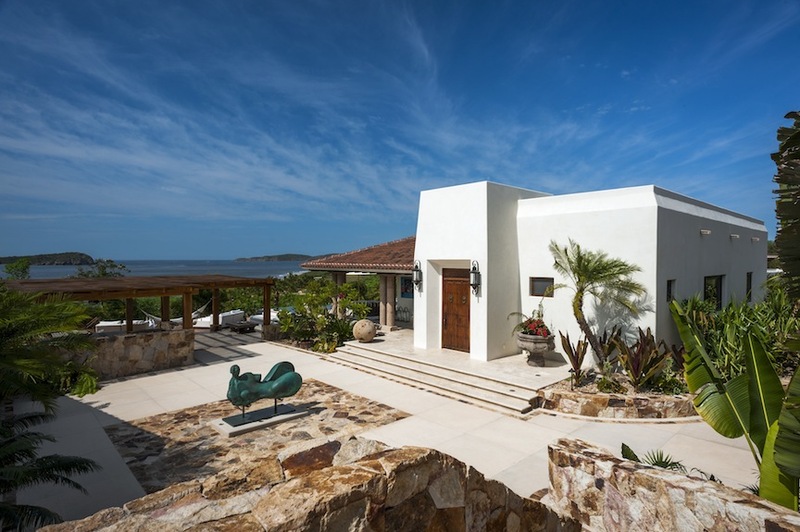 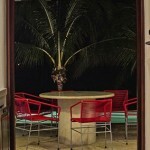 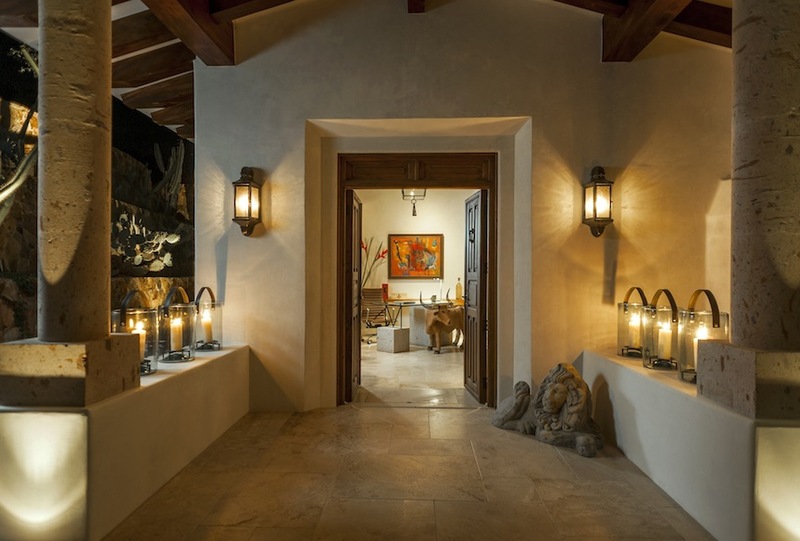 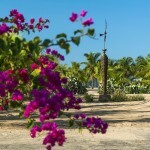 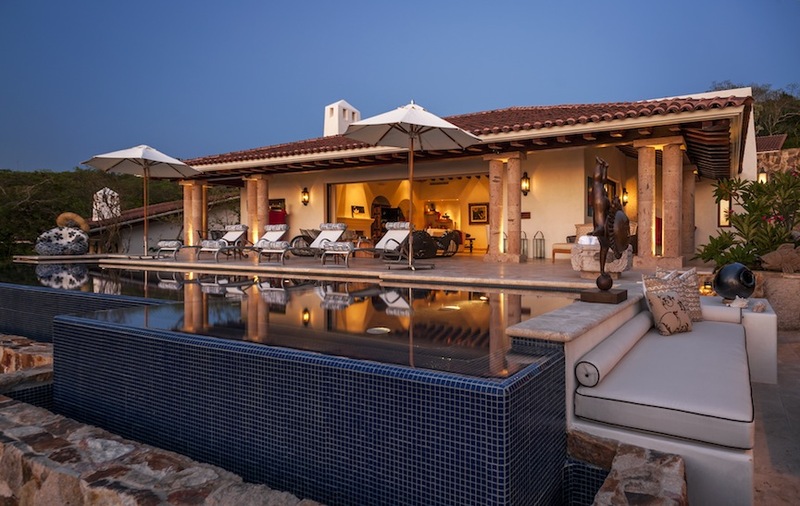 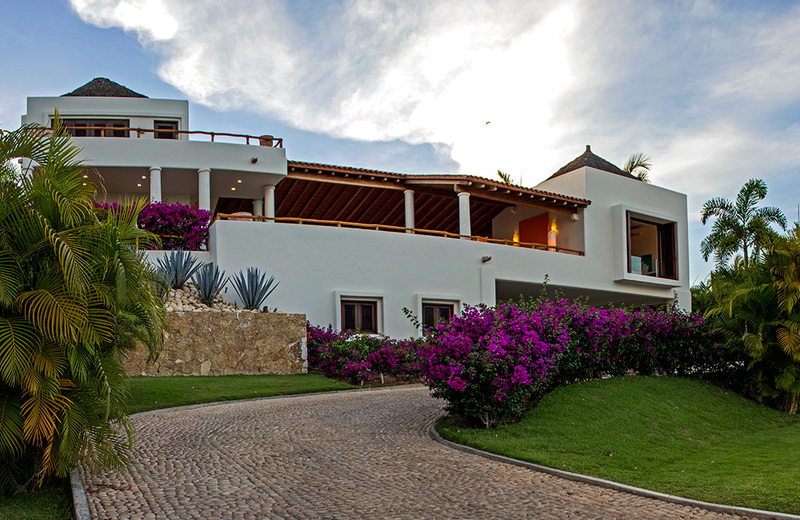 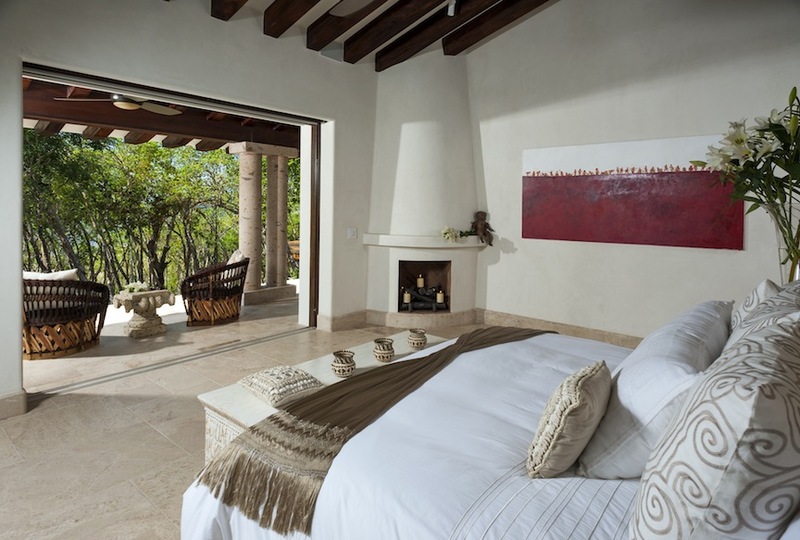 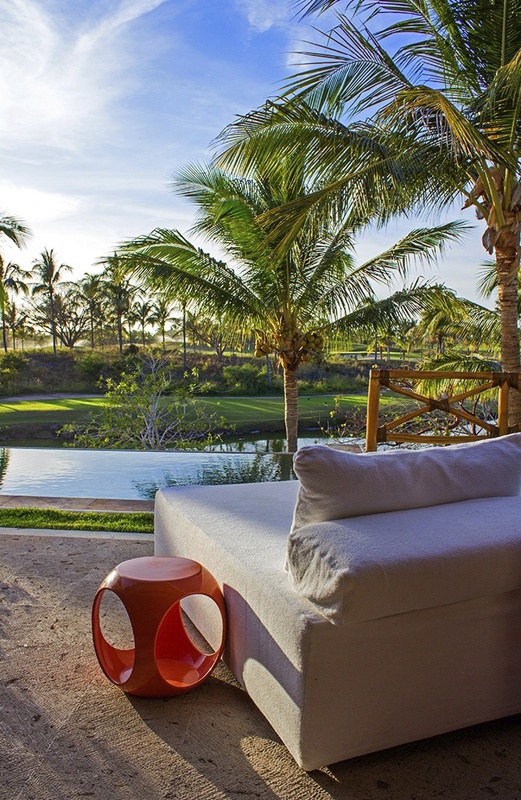 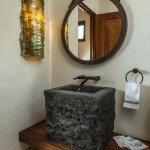 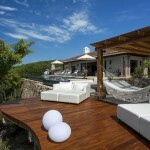 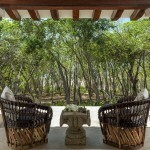 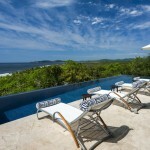 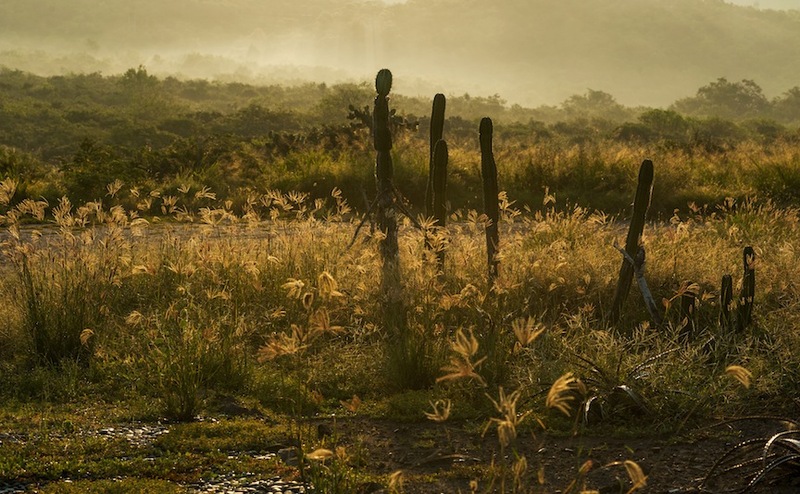 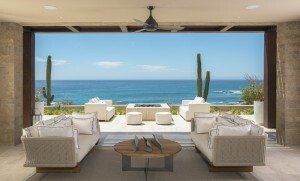 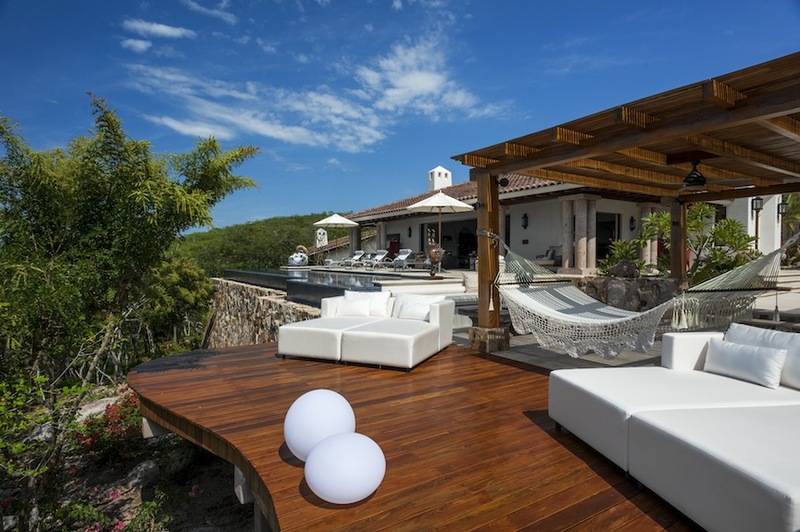 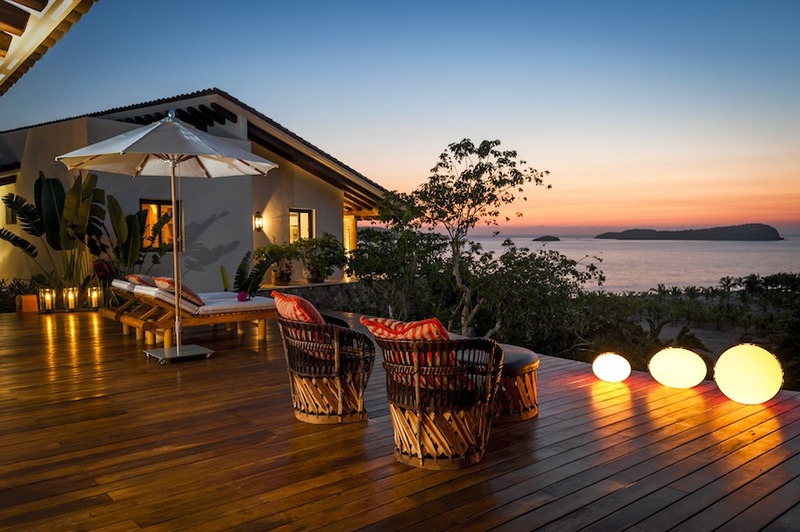 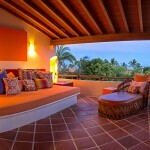 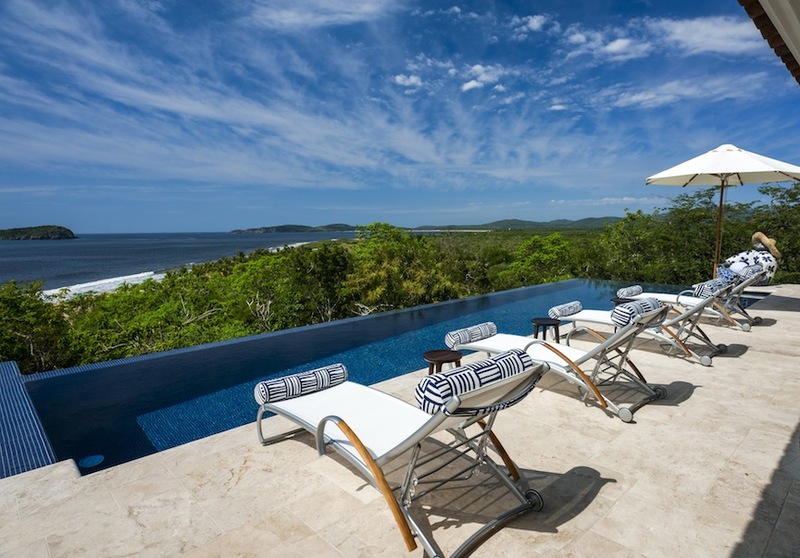 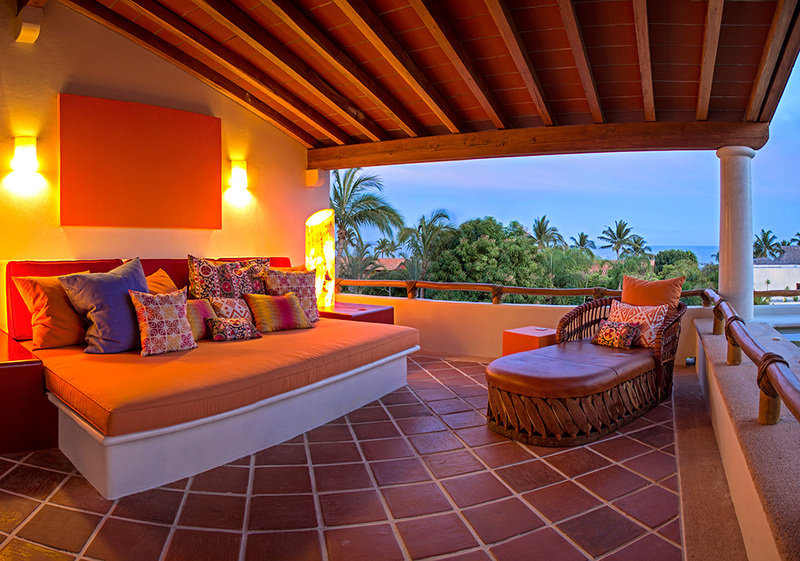 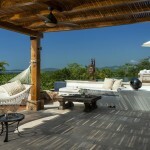 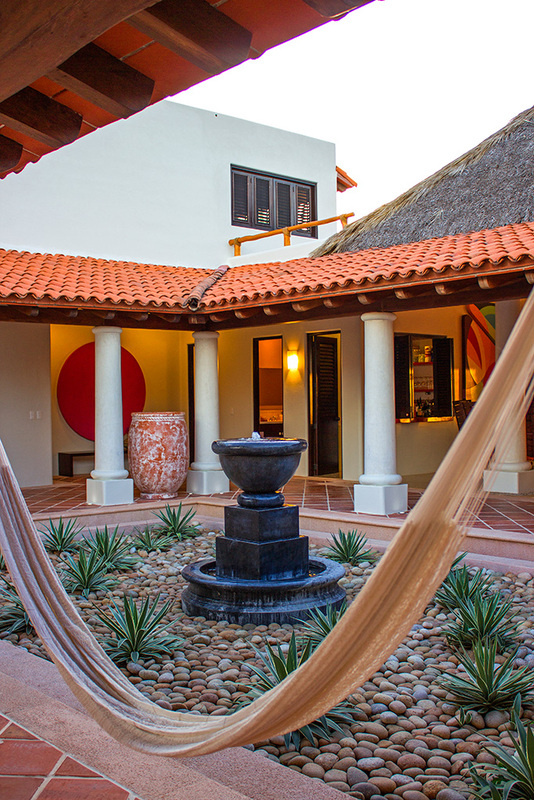 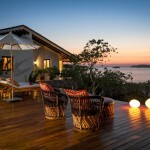 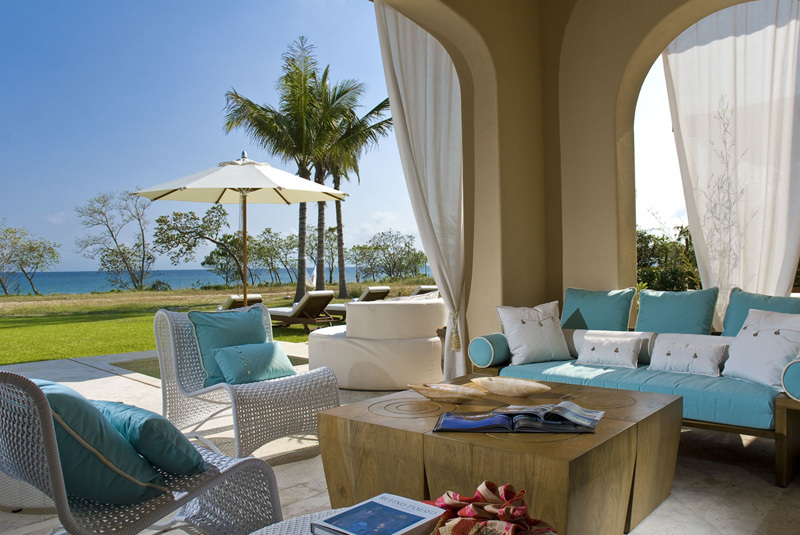 KNDesigns classic Luxury and Simplicity with a View of Punta Mita´s Paradise.